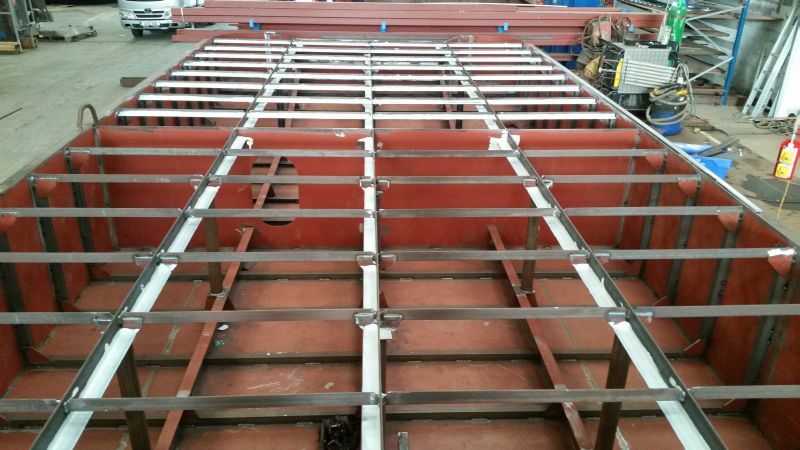 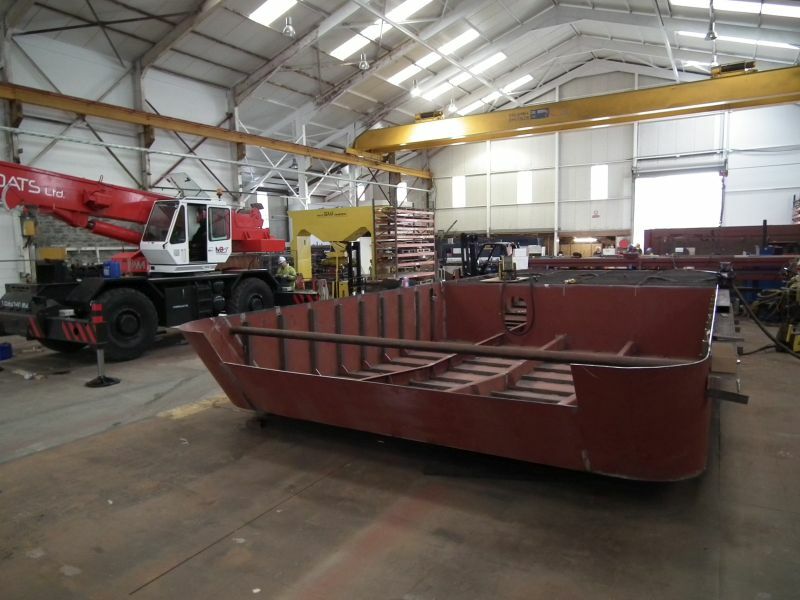 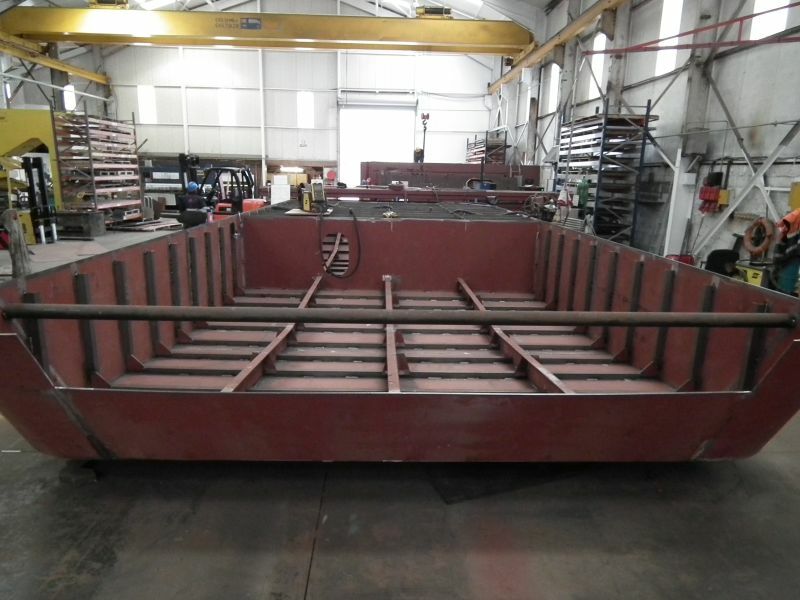 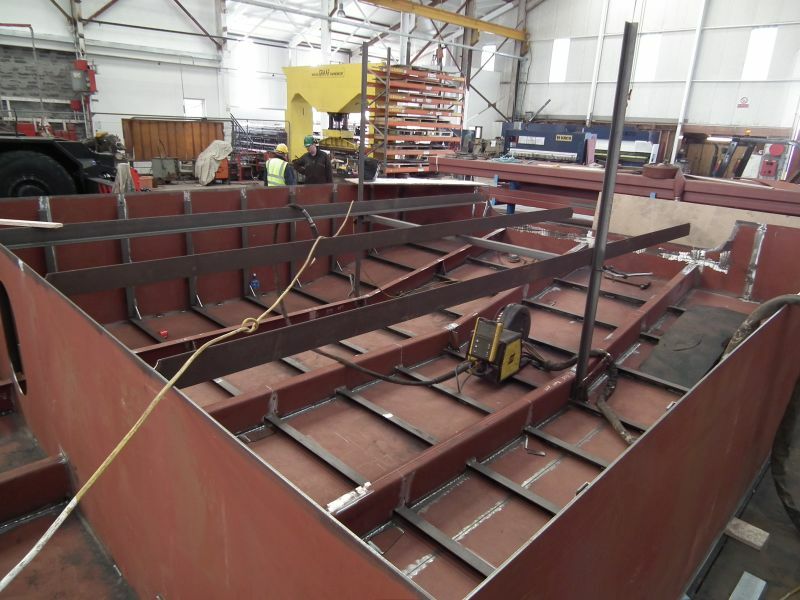 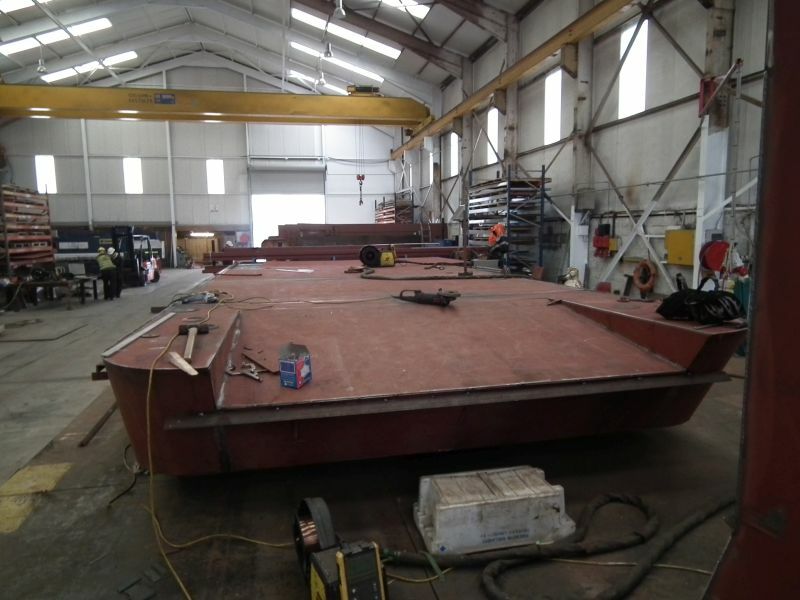 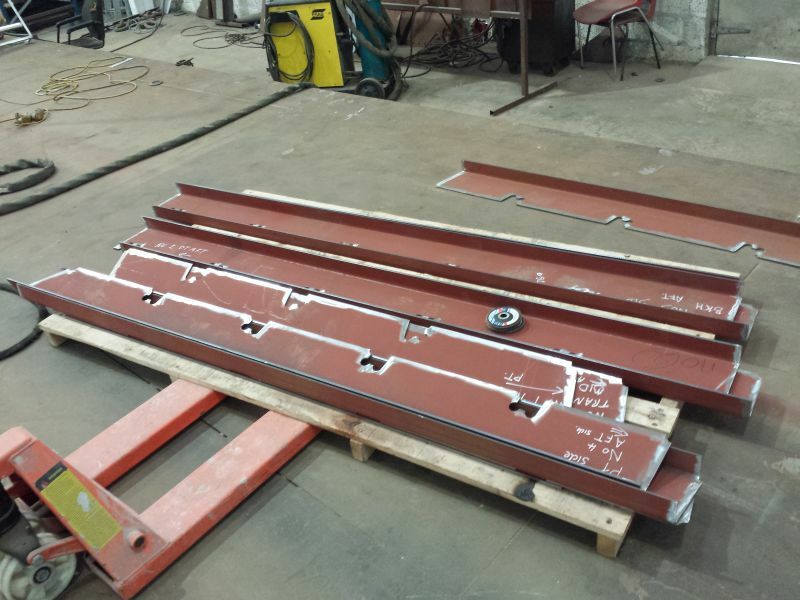 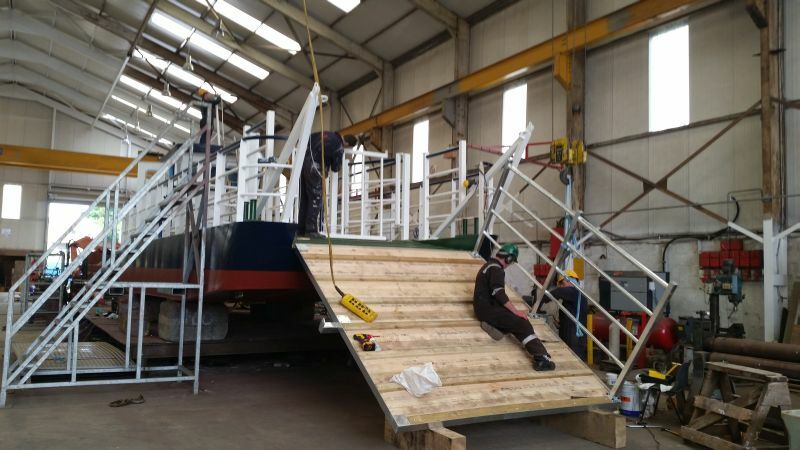 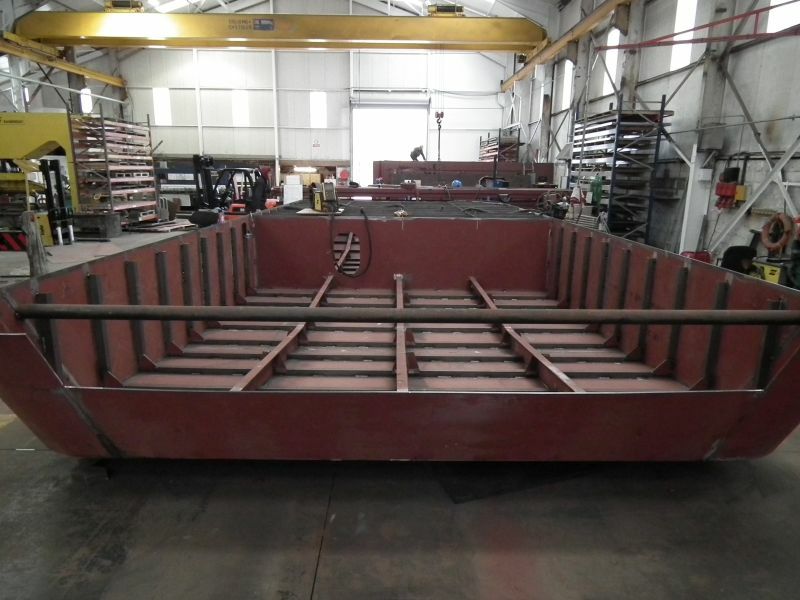 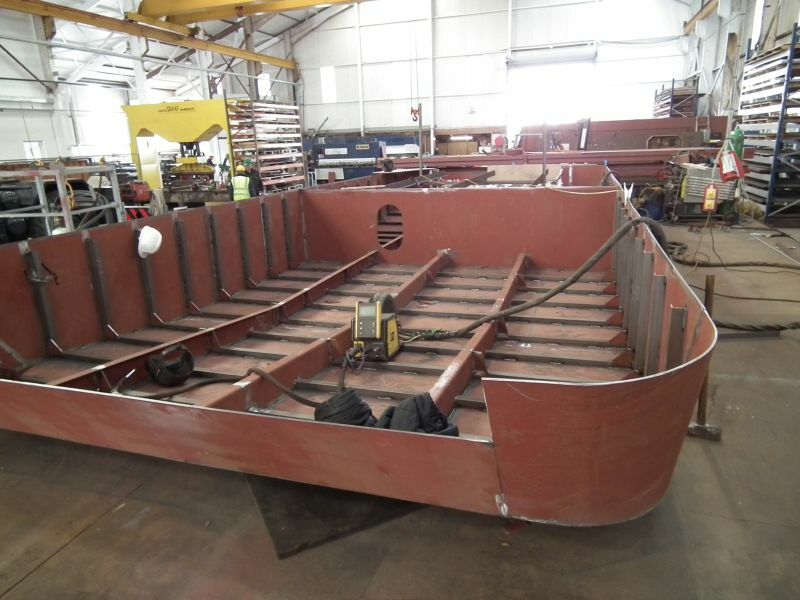 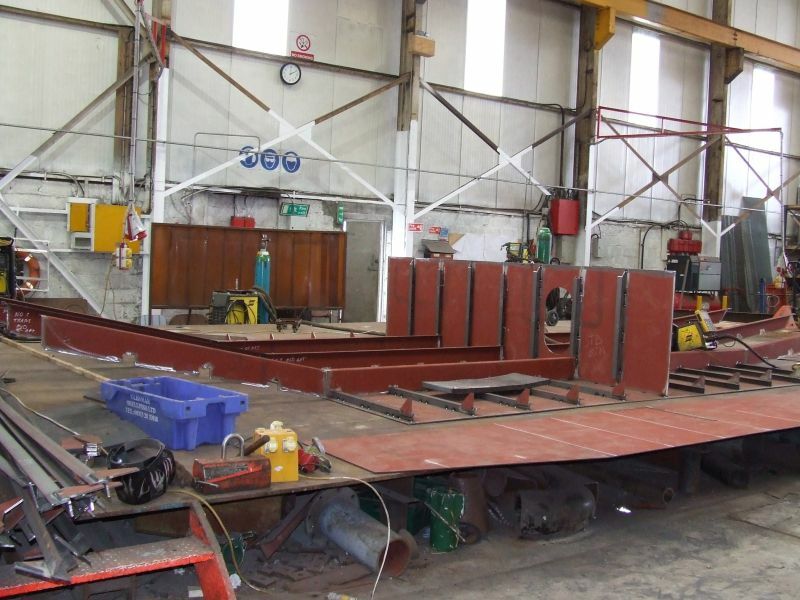 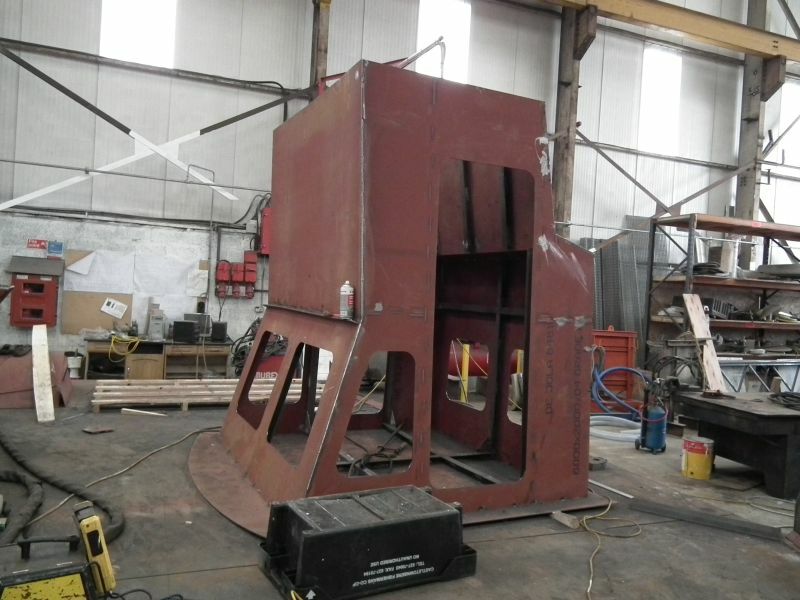 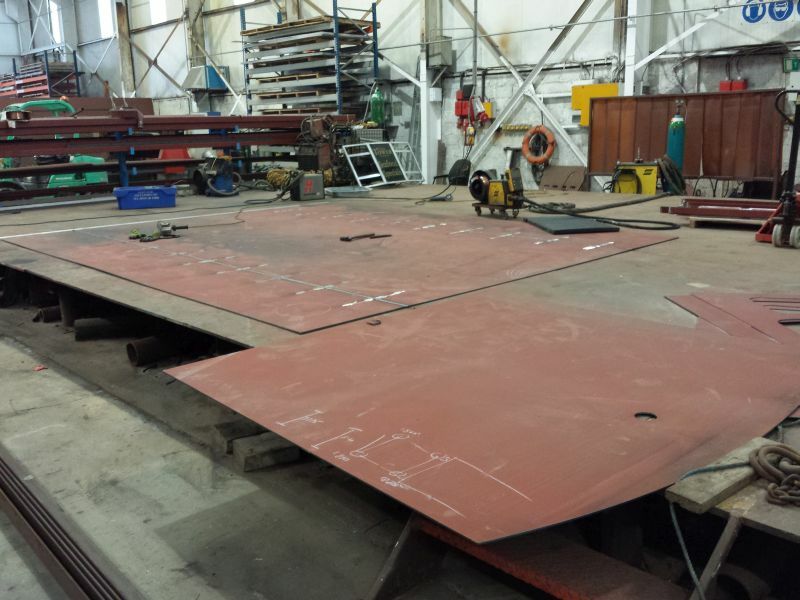 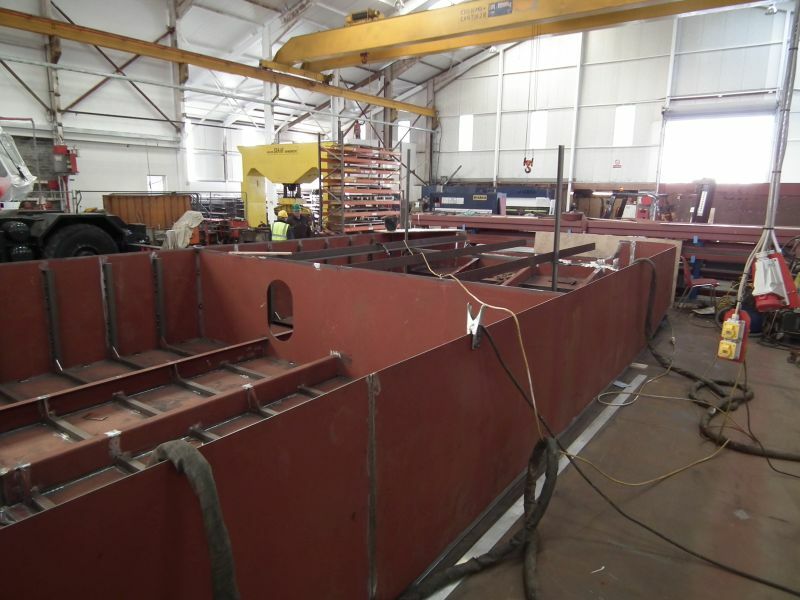 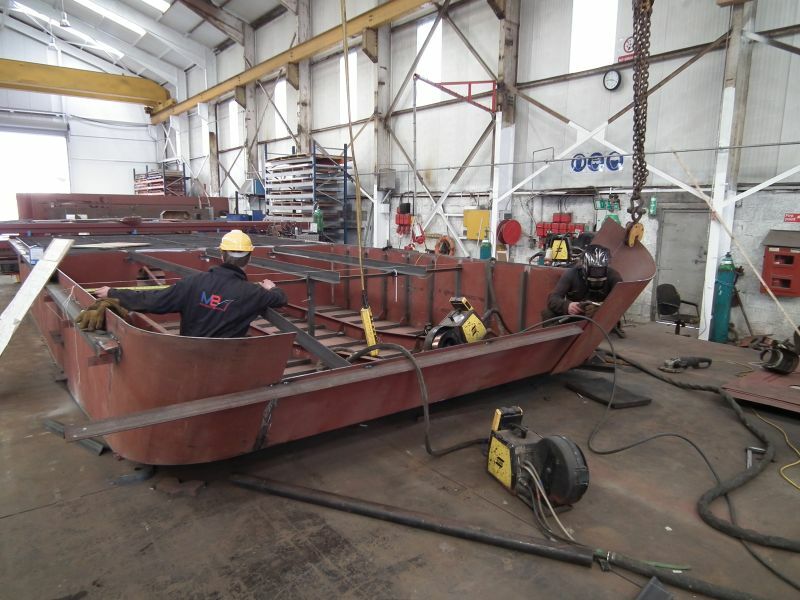 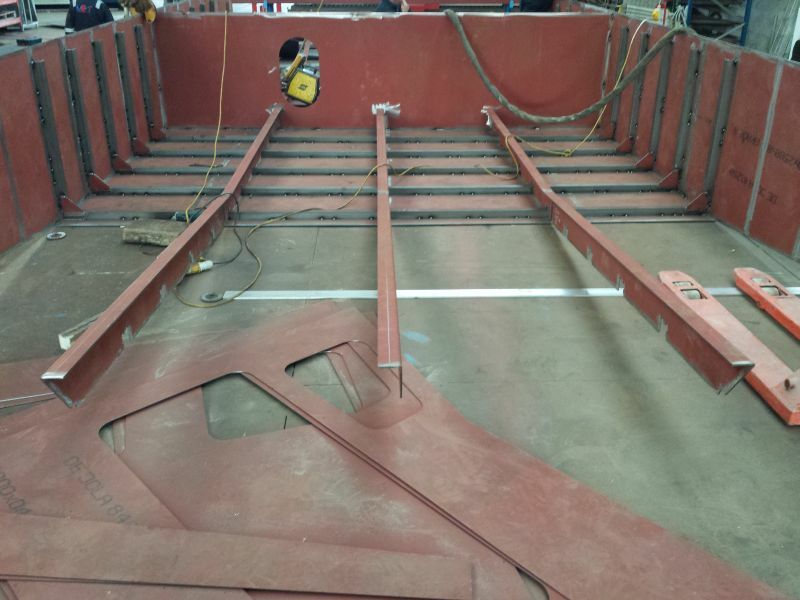 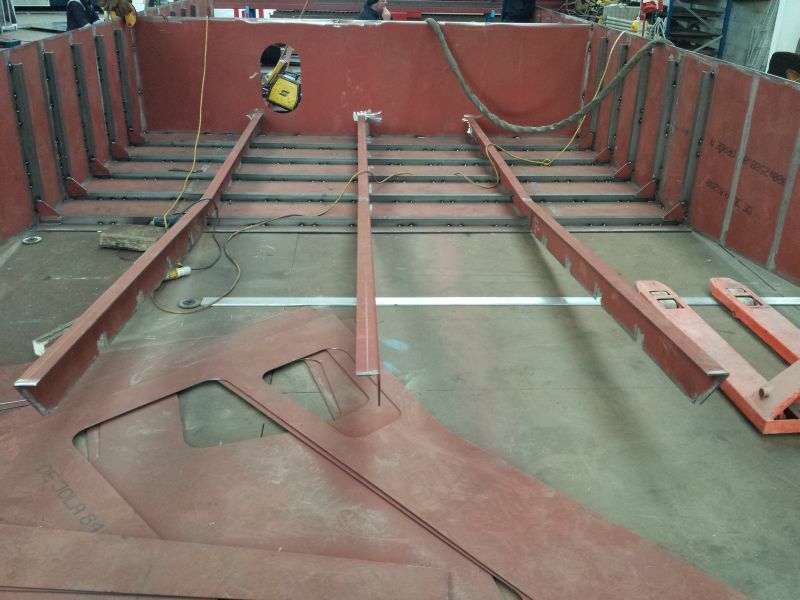 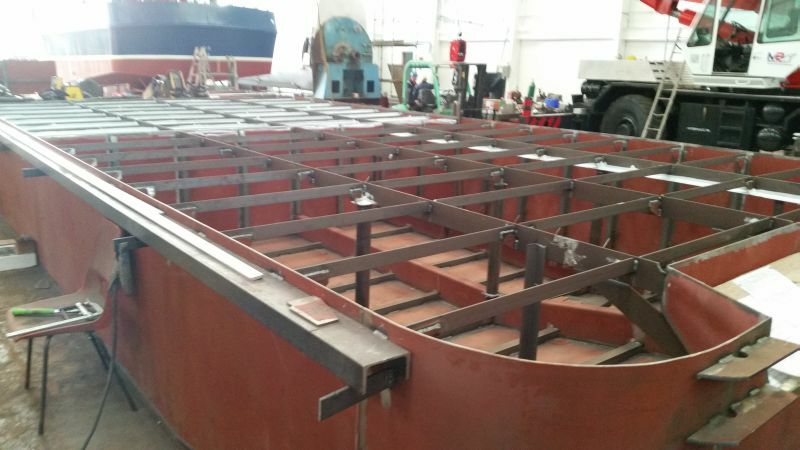 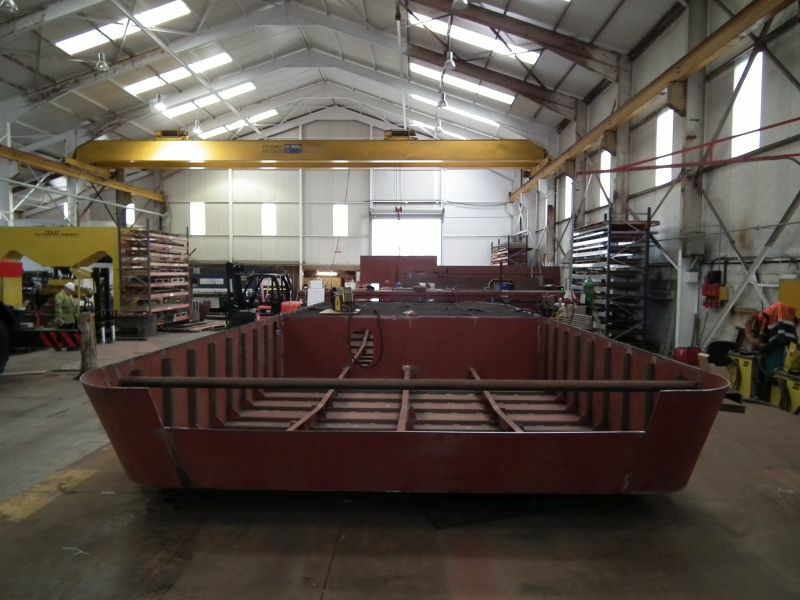 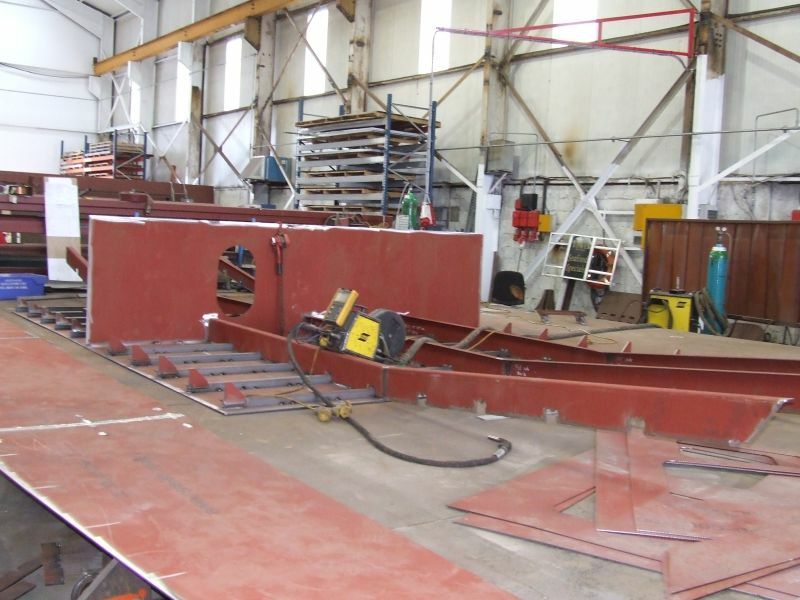 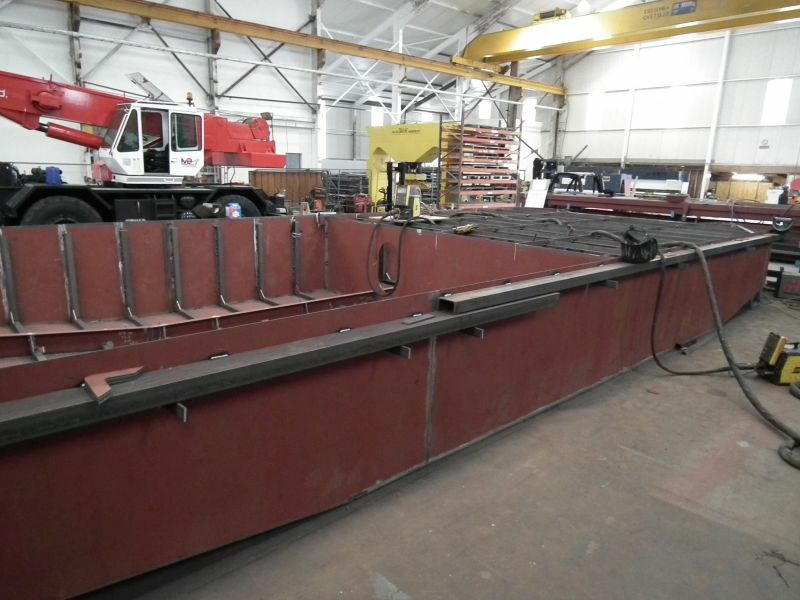 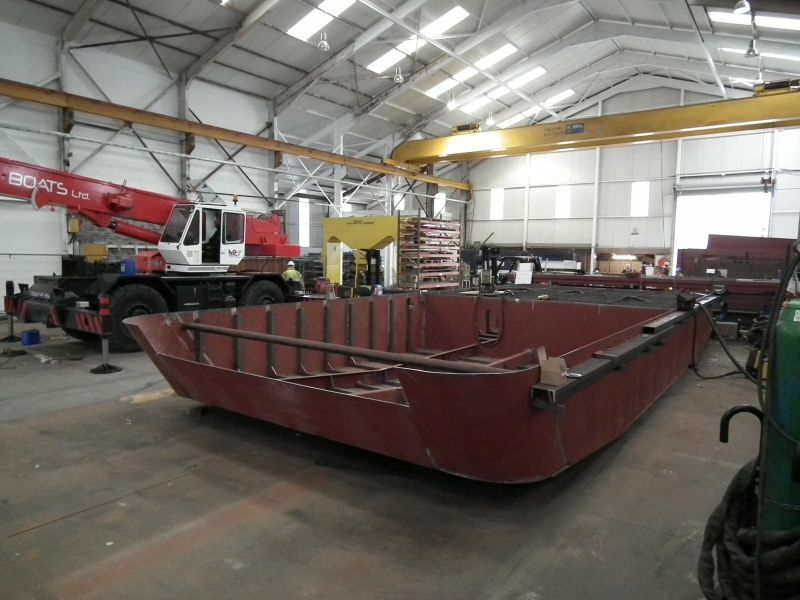 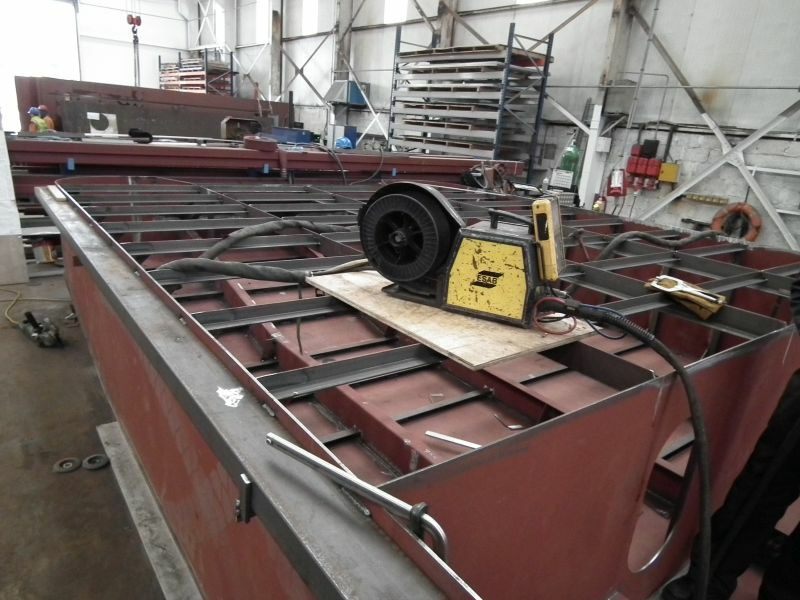 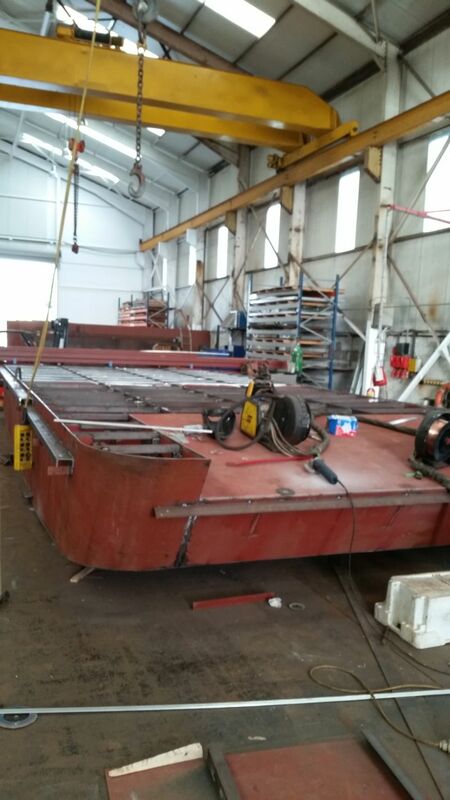 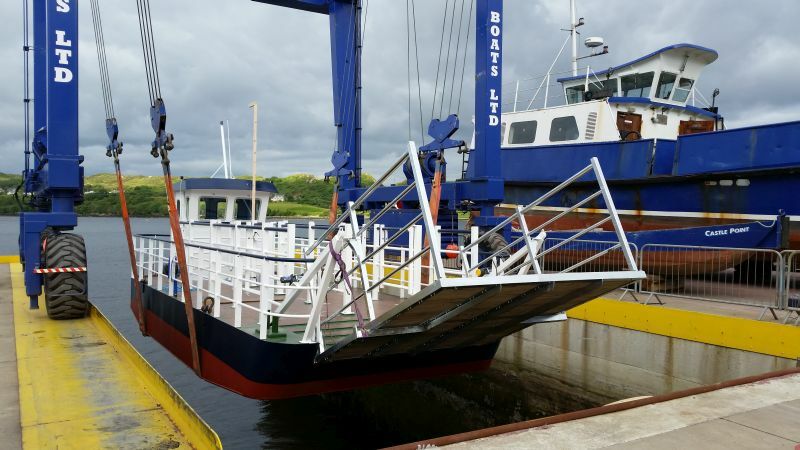 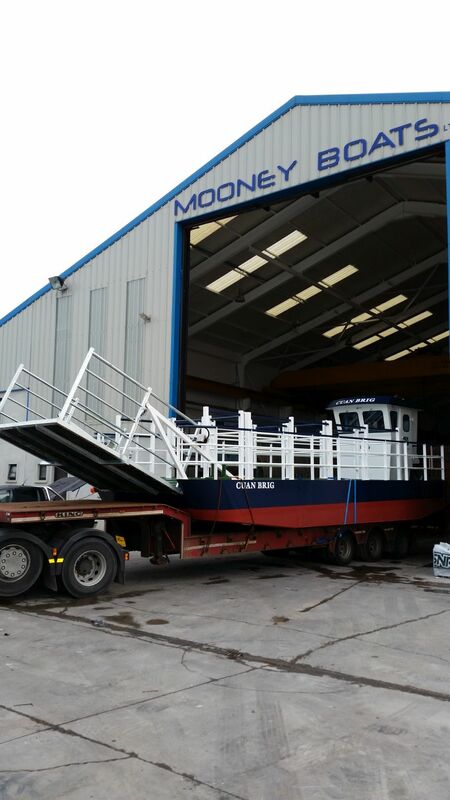 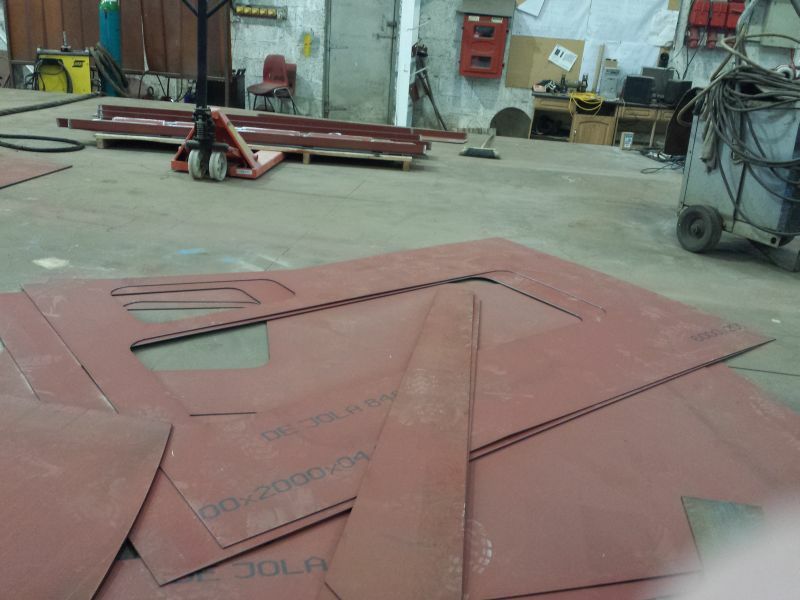 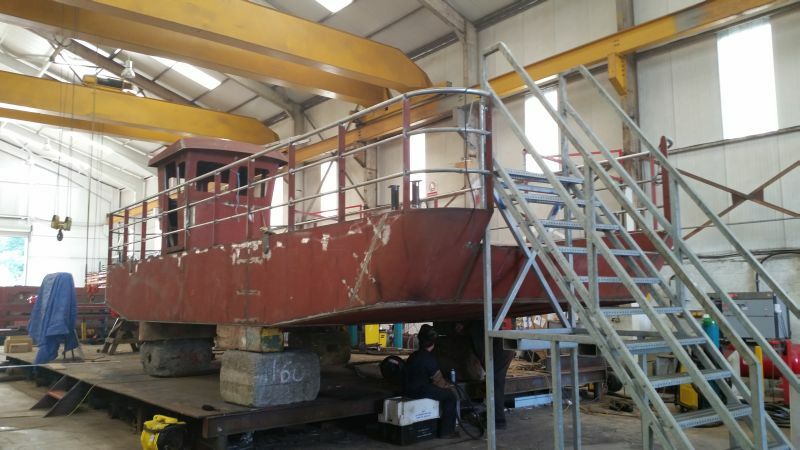 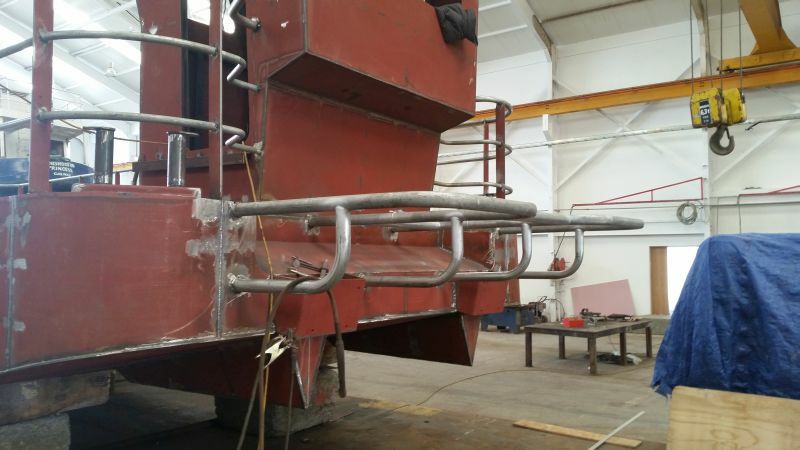 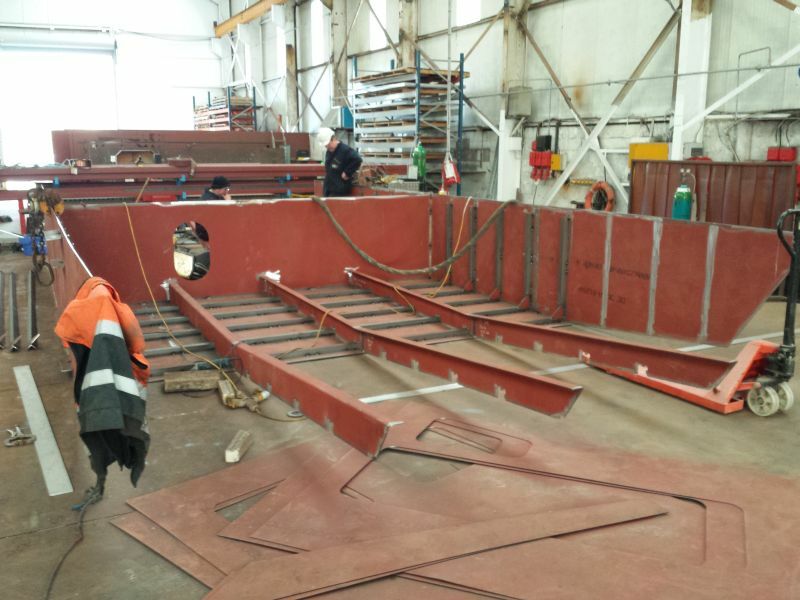 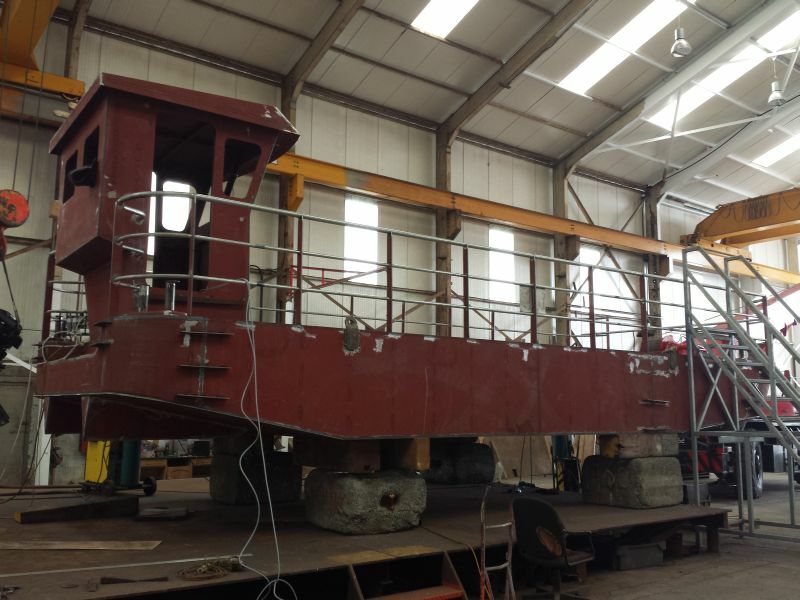 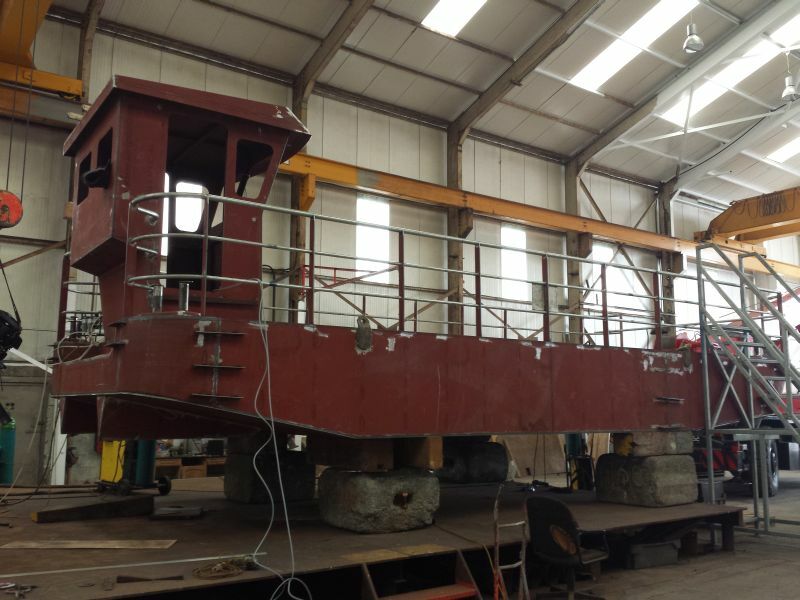 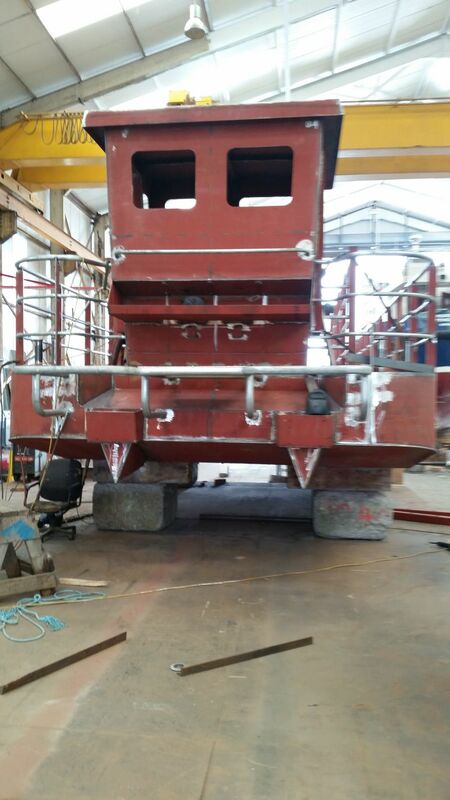 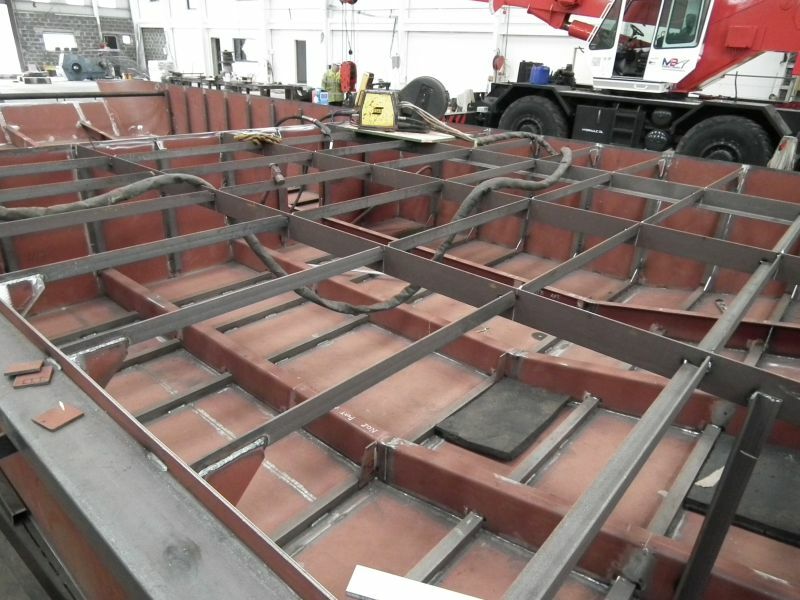 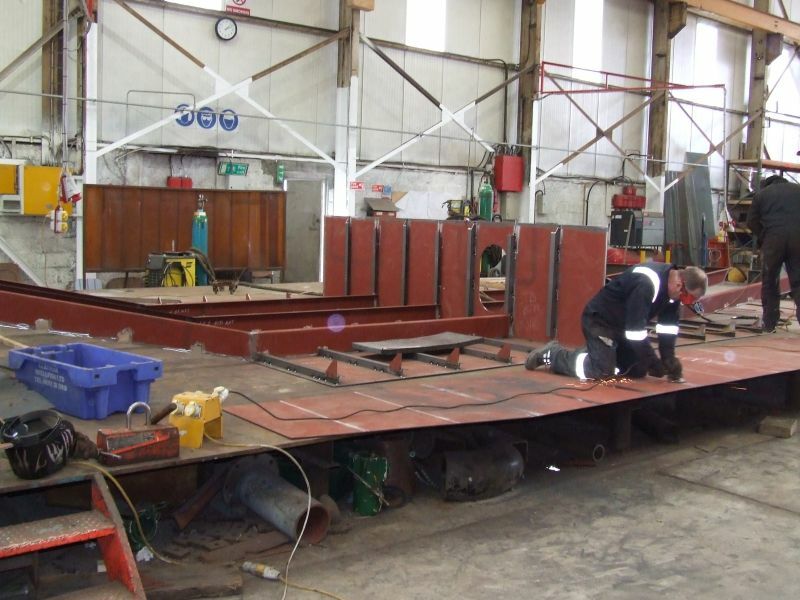 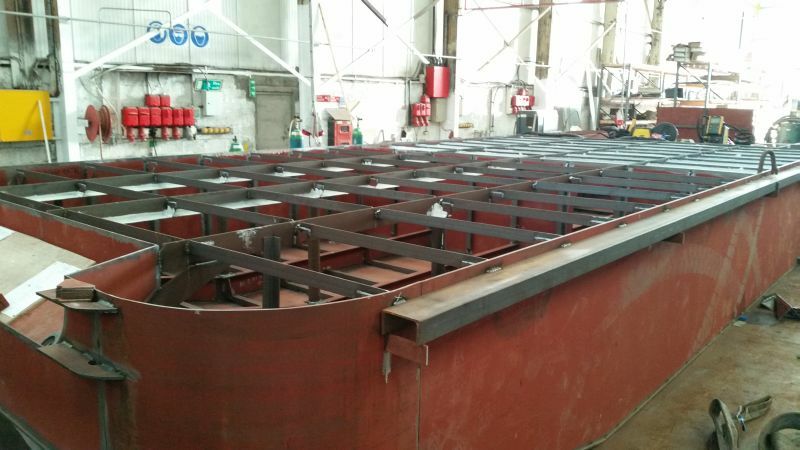 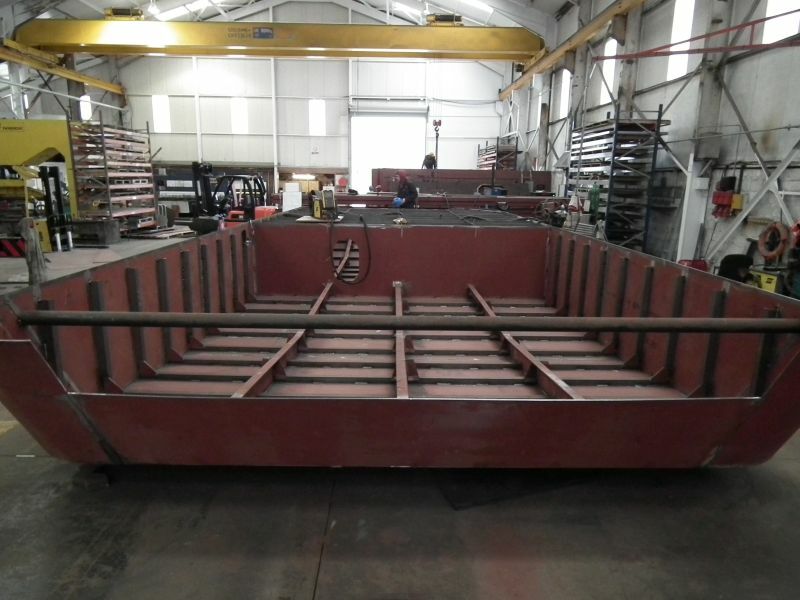 Mooney Boats Ltd. has just completed a new 10m Steel Landing Craft for use in Category C Tidal waters on Strangford Lough for the National Trust in Northern Ireland. 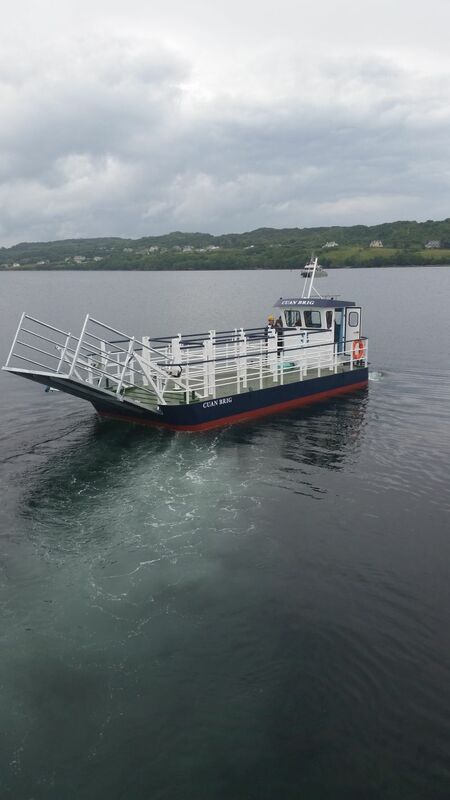 The new vessel named “Cuan Brig” was designed by Ian Paton of S.C Mc Allister and will be used for transporting; cattle, vehicles, machinery or up to 12 passengers from the mainland to several islands around the Strangford Lough area. 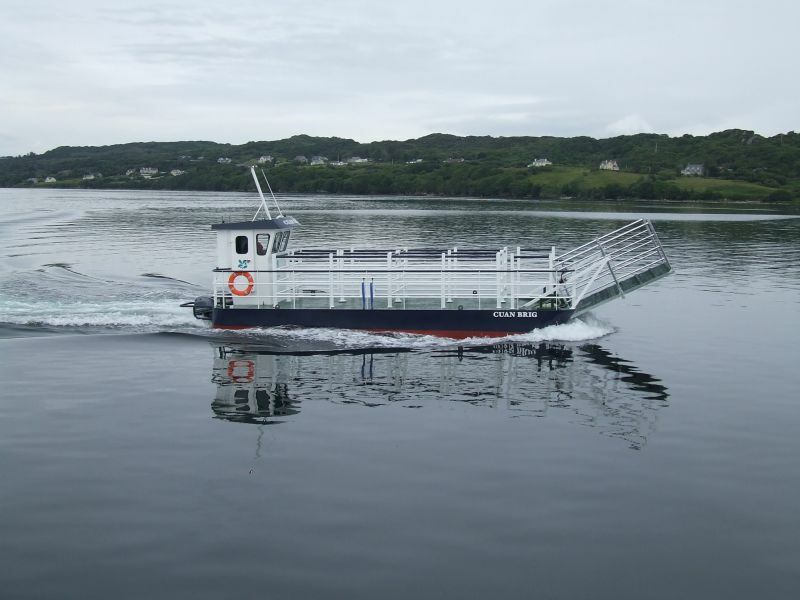 The National trust staff are responsible for the maintenance of the Flora and Fauna on the many Islands in the Lough. 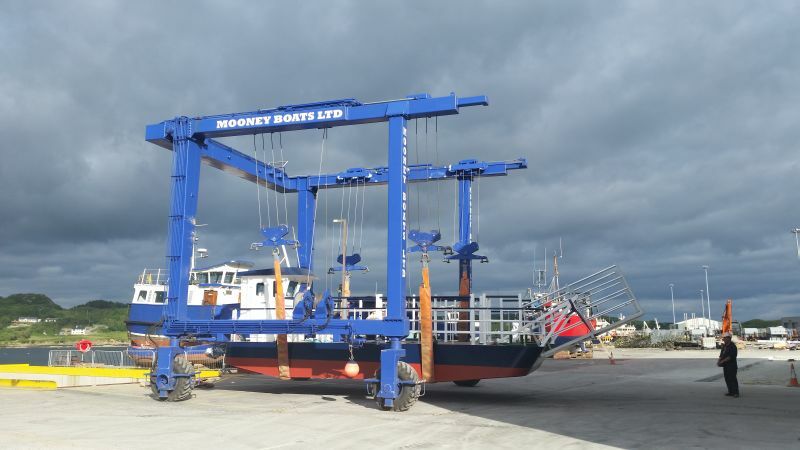 After winning the tender, Mooney Boats Ltd were tasked with completing the vessel in a short period of time. 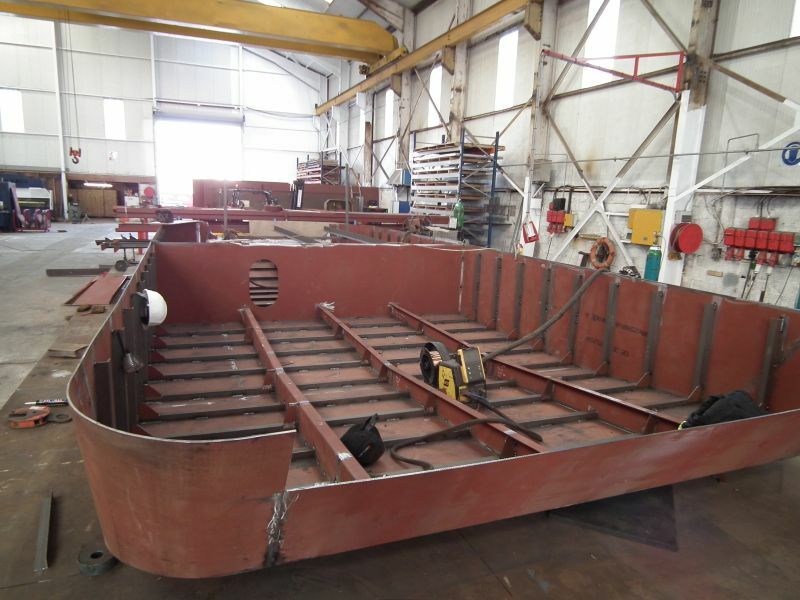 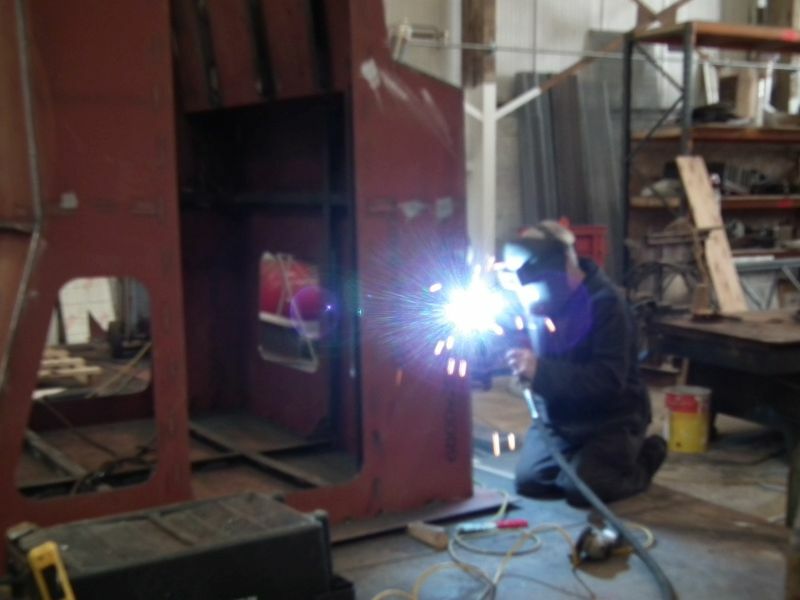 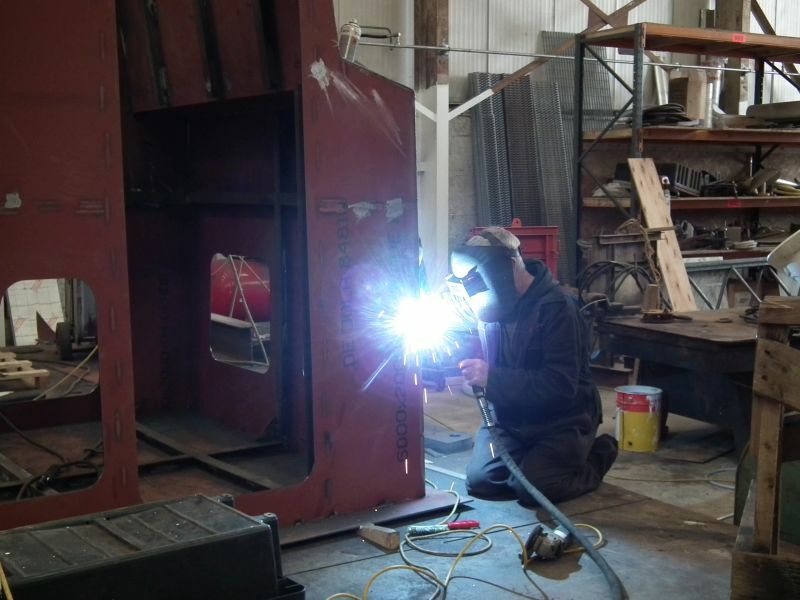 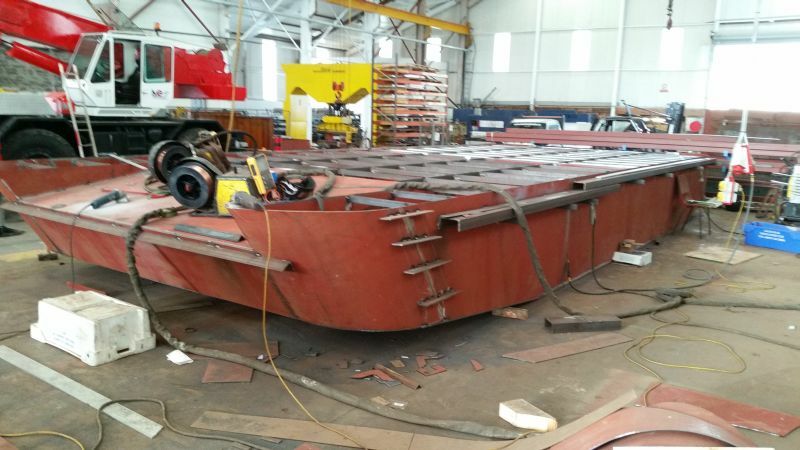 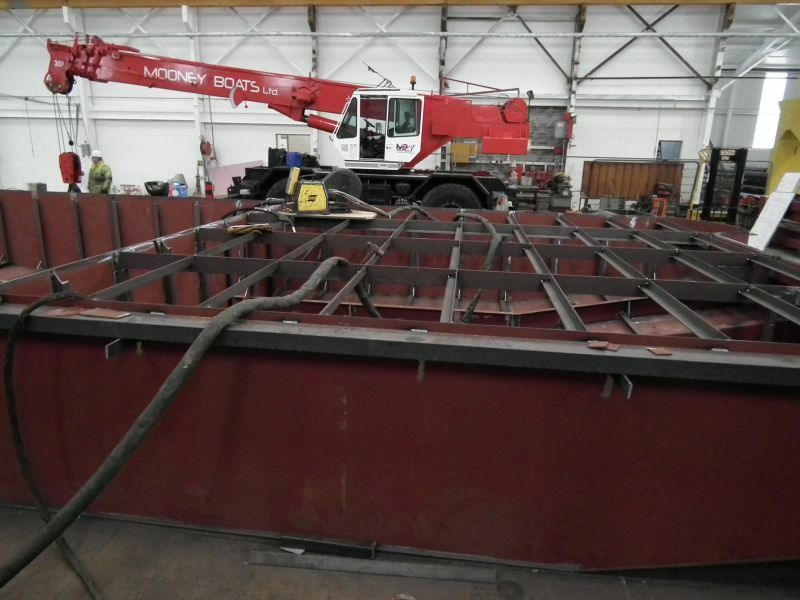 Work began on the vessel at the beginning of March after Ian Paton of SC McAllister & Co got its design approved by MECAL. 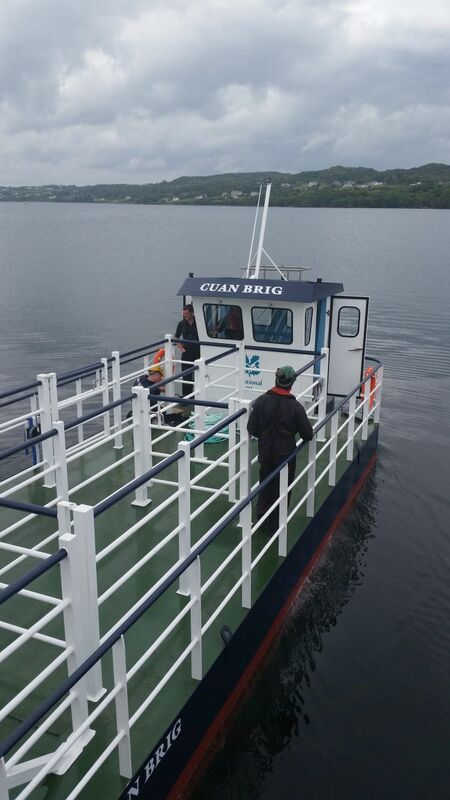 The Cuan Brig is a flat bottomed vessel with a LOA of 10metres, a beam of 4 metres and is designed to be road transportable. 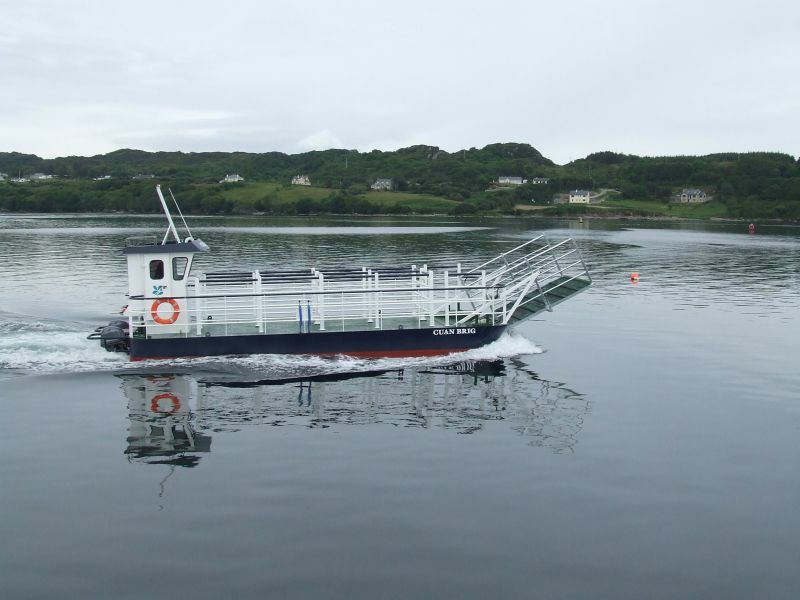 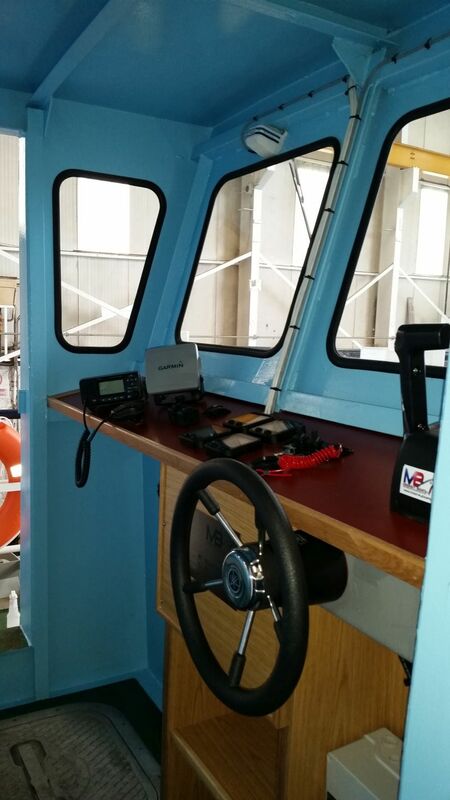 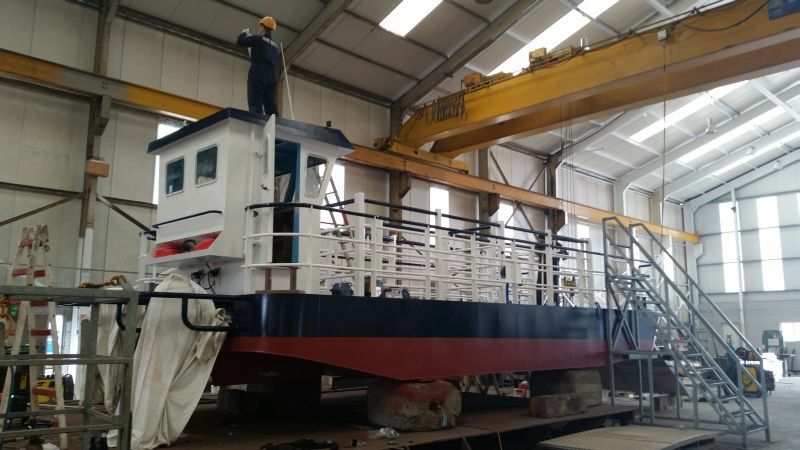 The vessel has a small wheelhouse aft with a drop door on its bow which is raised and lowered by electric winches on both sides and controlled from within the wheelhouse and can be all operated by 1 crew member. 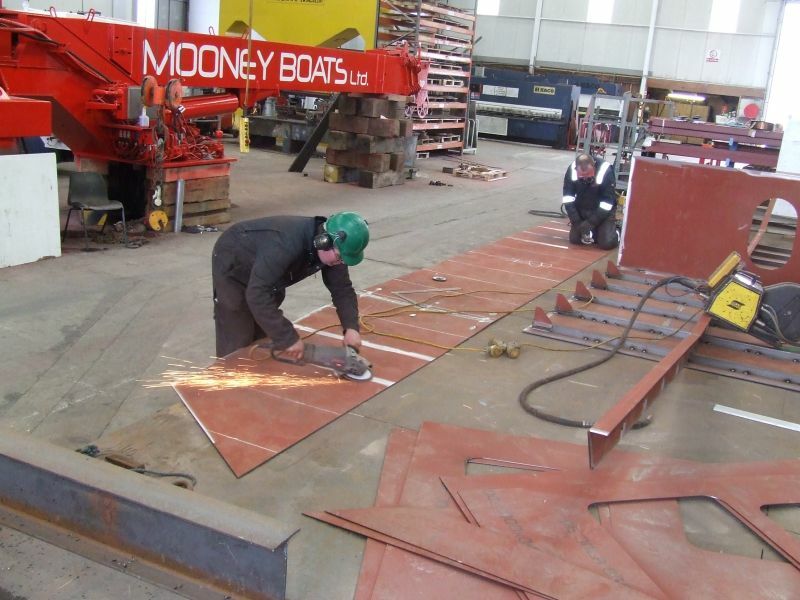 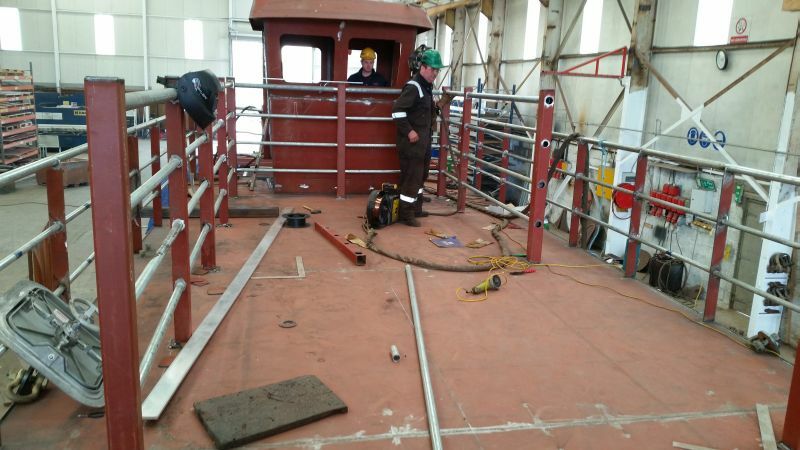 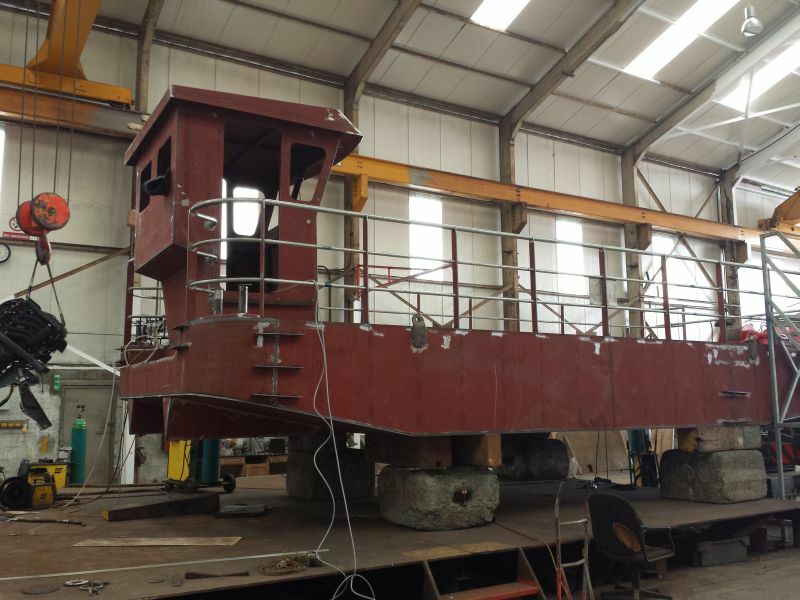 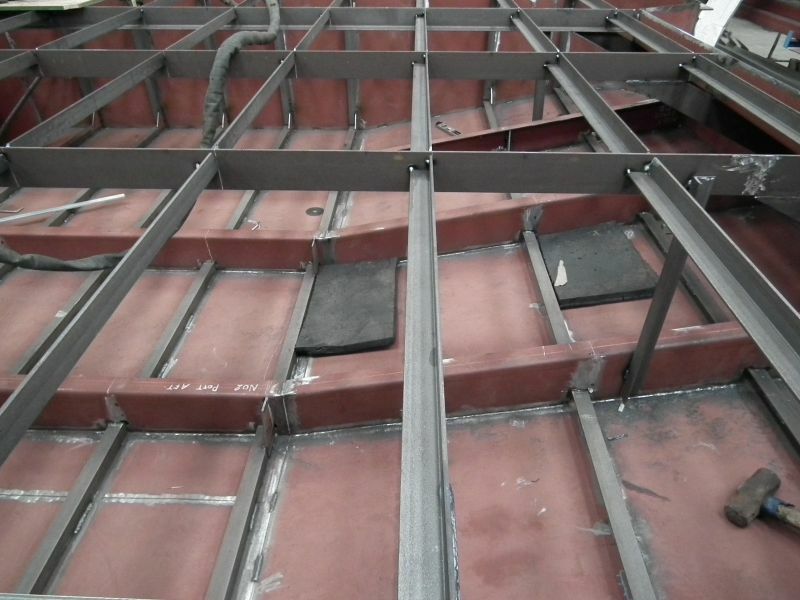 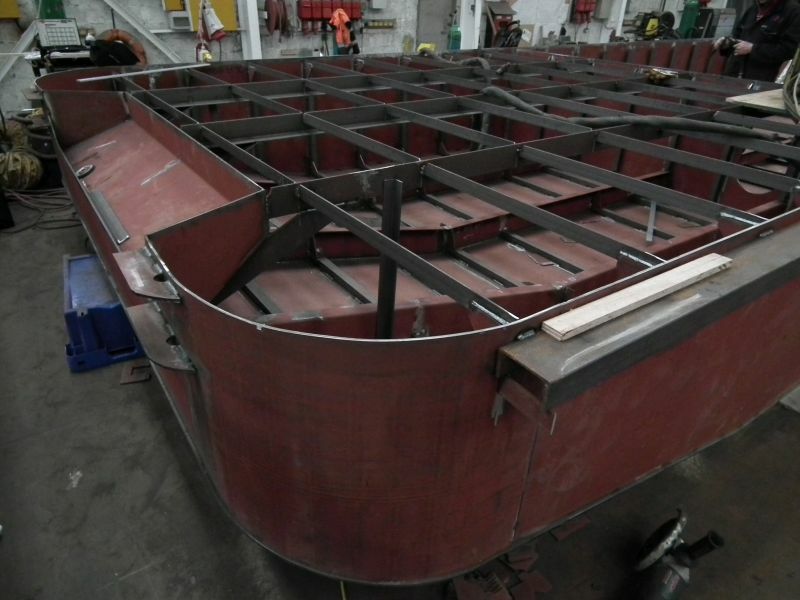 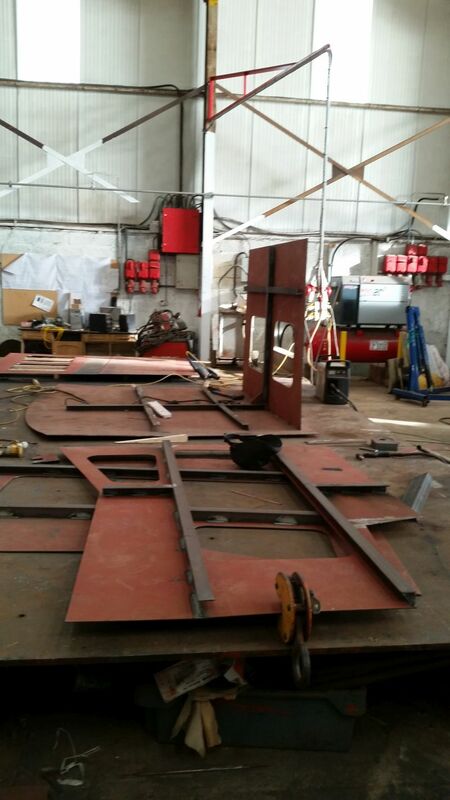 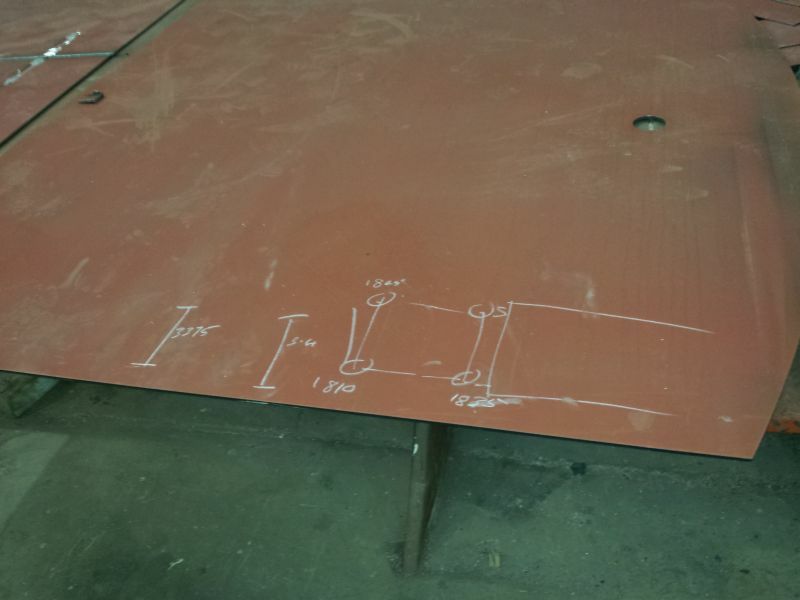 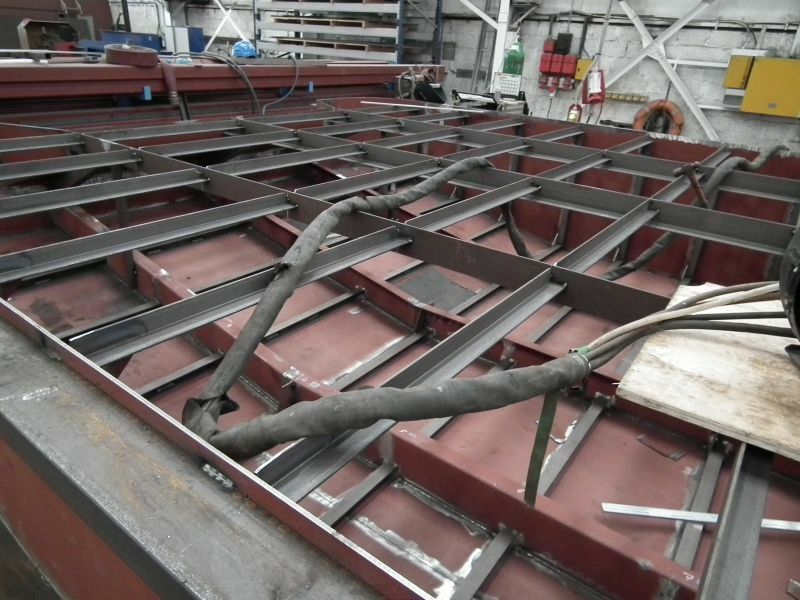 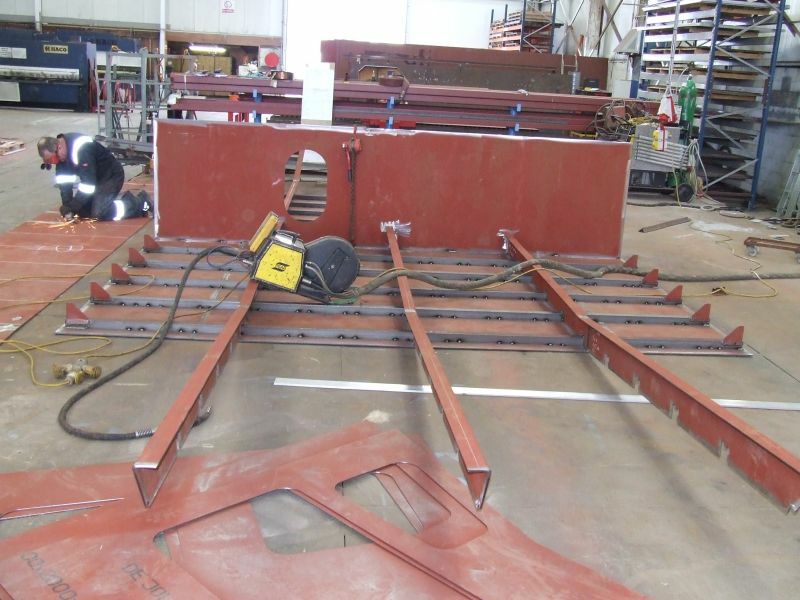 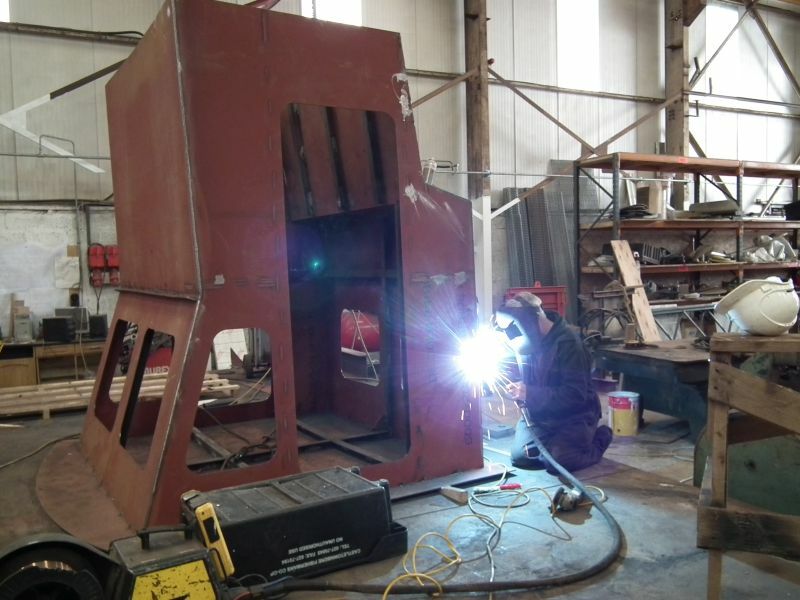 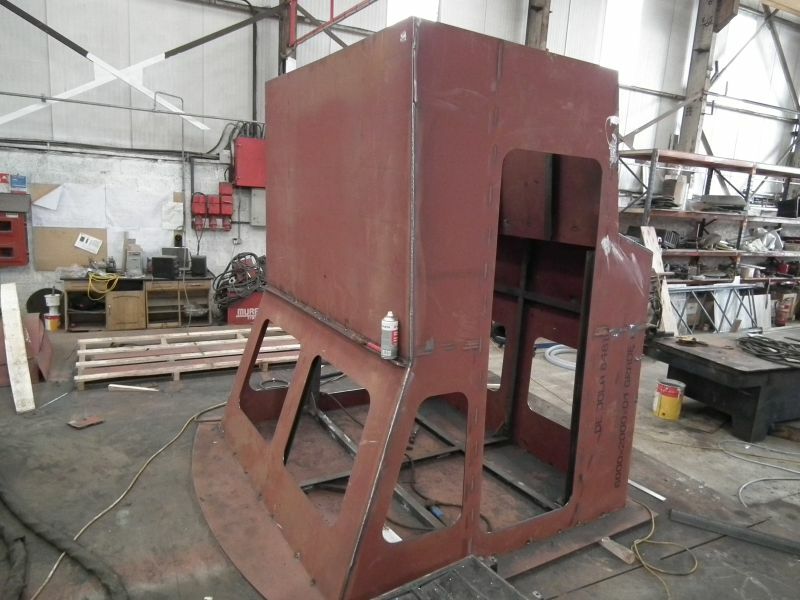 The steelwork on the hull was completed in just six and a half weeks; Mooney Boats then invited the crew of the barge to their yard to give their views on how best to lay out the livestock pens on its deck and also wheelhouse arrangement along with other items. 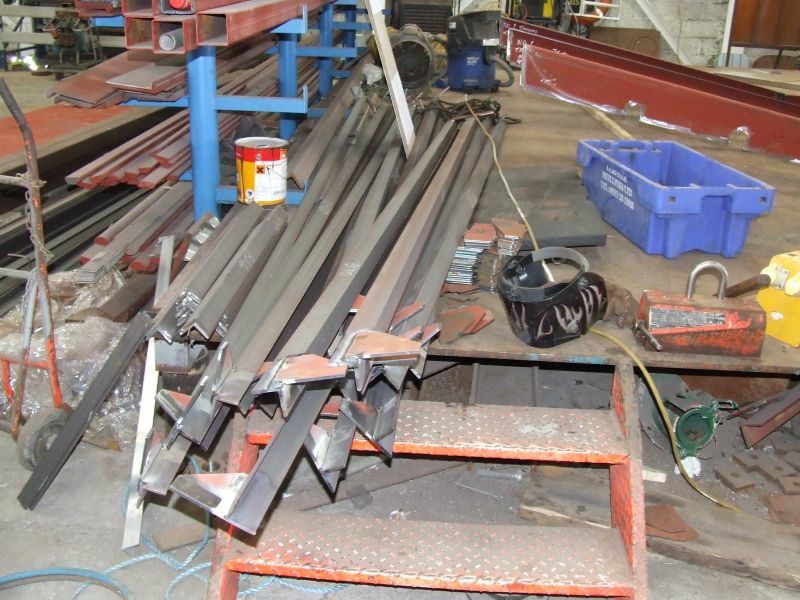 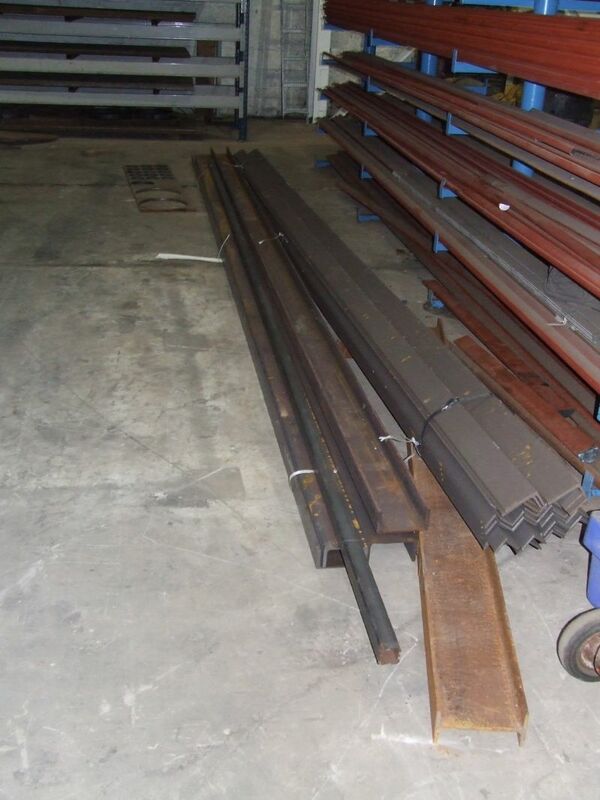 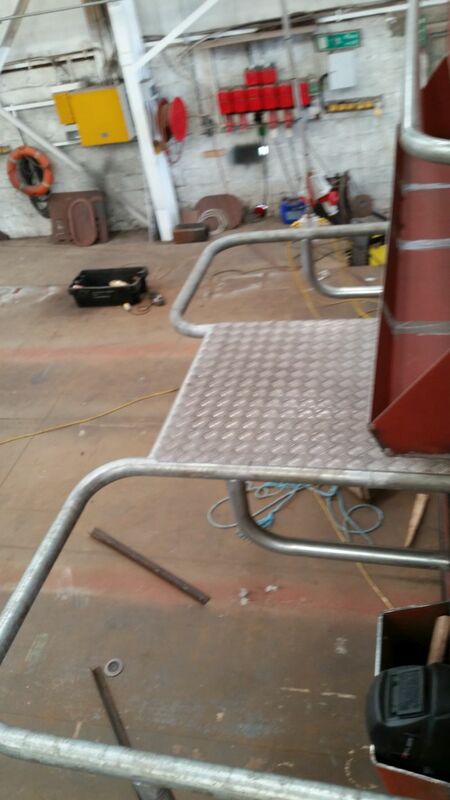 The Sockets which the pens fitted into were flush mounted to the deck so they could be removed easily if required which allows for transporting machinery etc on the vessel. 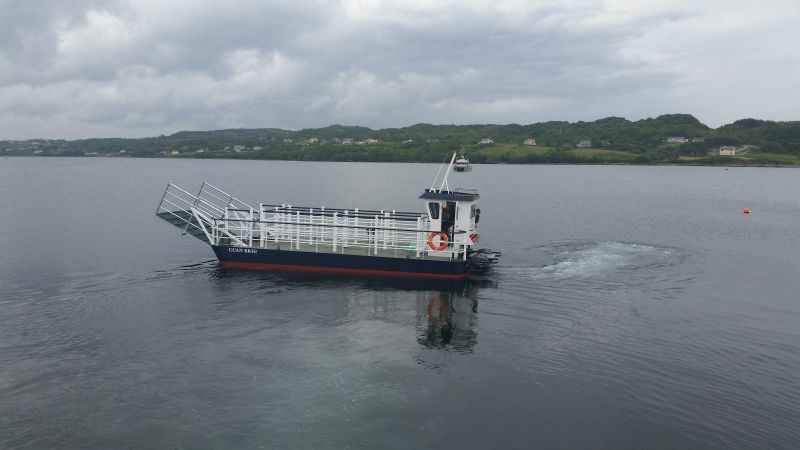 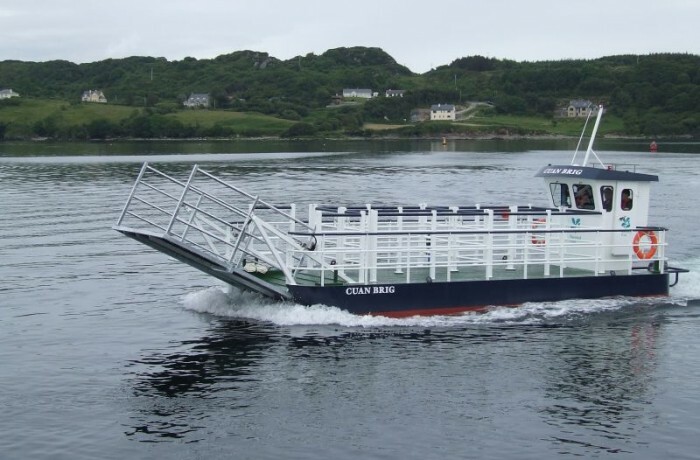 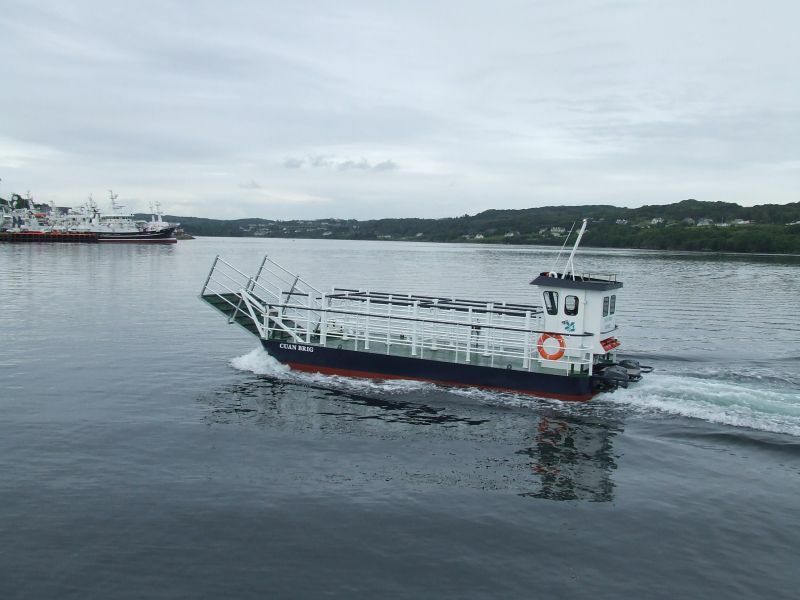 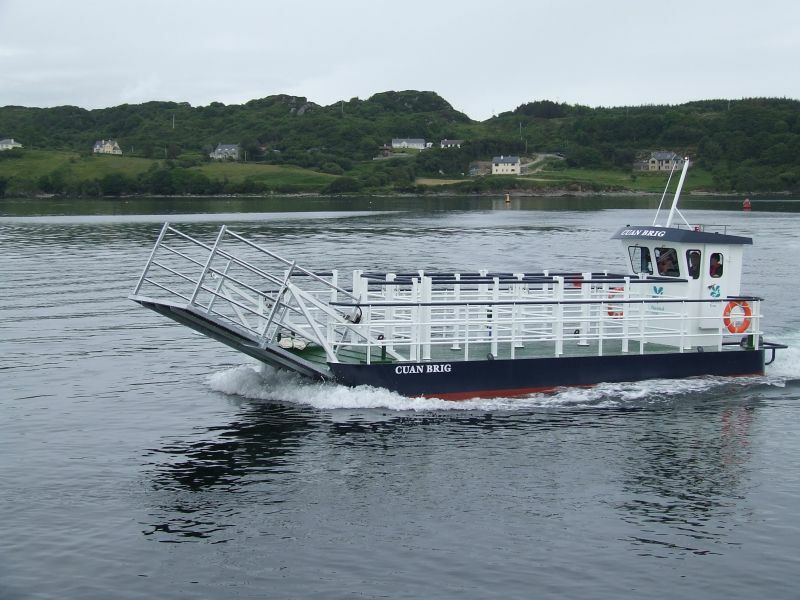 The Cuan Brig is driven by two Yamaha F70AETL70hp outboard engines supplied and fitted by Declan Mc Brearty from KER Ltd who are also based in Killybegs beside Mooney Boats Ltd. 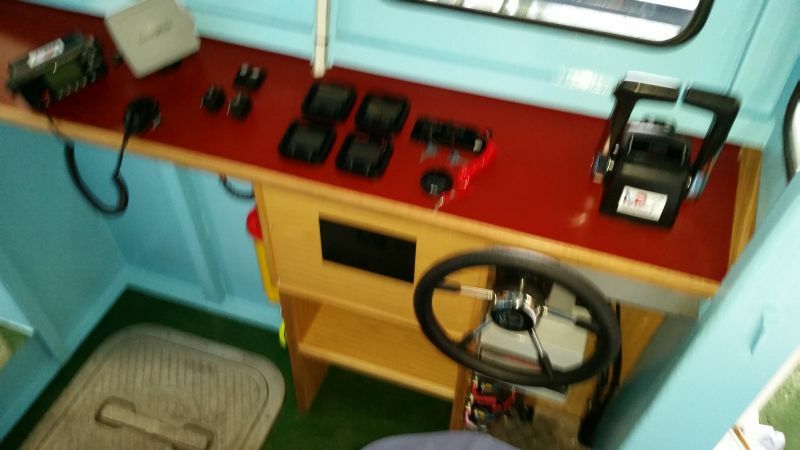 Inside the wheelhouse, Mooney Boats also supplied and fitted 1 No Icom M323 Fixed DSC VHF, 1 No GARMIN GPSMAP 451S, I Rule 2 Zone Bilge Alarm Panel, Navigation Lights & Panel, 1 No Jabsco 12 Volt Deck Wash Pump, 2 No Window wipers, electrical panel and switch board panel in wheelhouse. 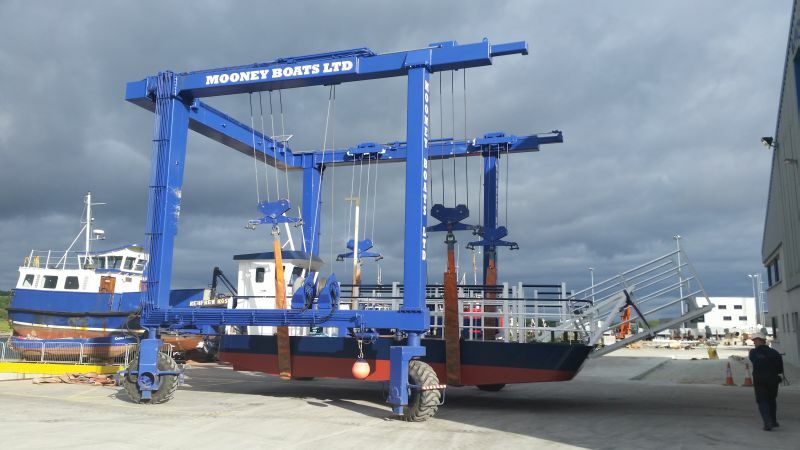 The vessel was also fitted with the following safety equipment all supplied from Mooney Boats Ltd Chandlery Store, 1 No Youlong 15 Man Solas B Flat Container Liferaft which was fitted on the wheelhouse roof, 15 No Mullion Compact 150N MULLION COMPACT 150N, 1 x Coastal Flare Pack, 2 x Life Buoys, Category C First Aid Kit, Fire Extinguishers etc. 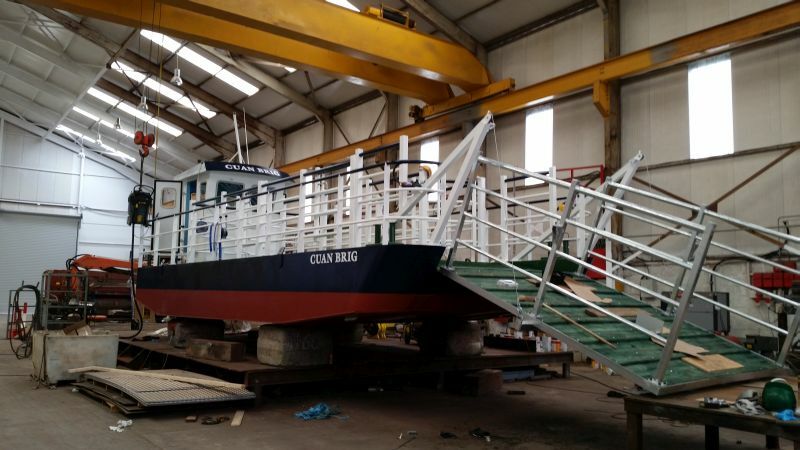 Once work on the Cuan Brig was completed, the barge was painted by Gerald Bray & Sons Ltd with a Jotun paint system and she was also fitted with an Mg Duff Anode protection system. 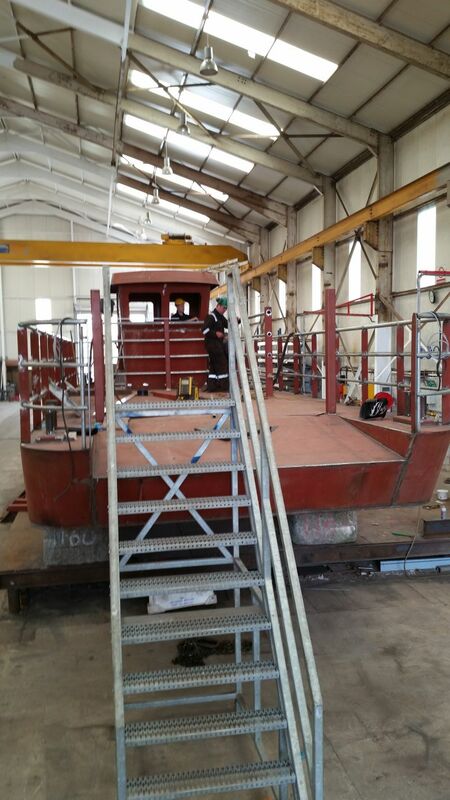 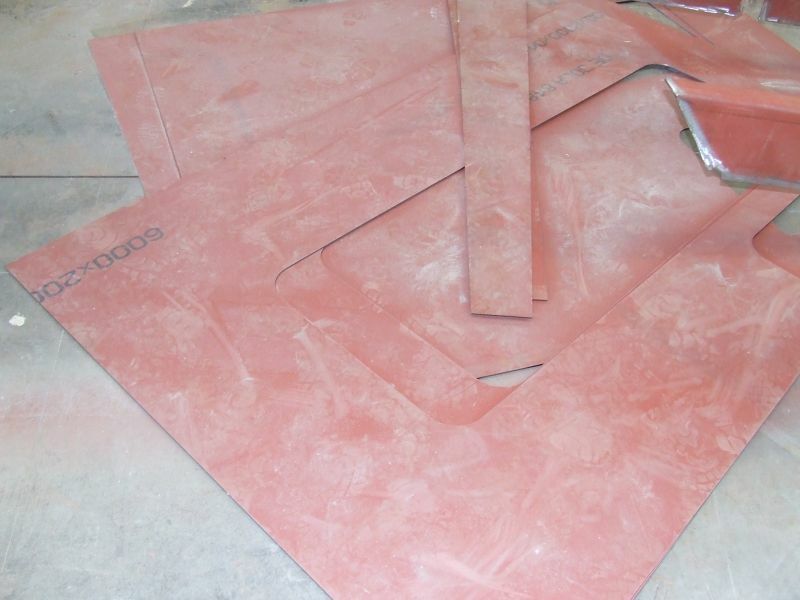 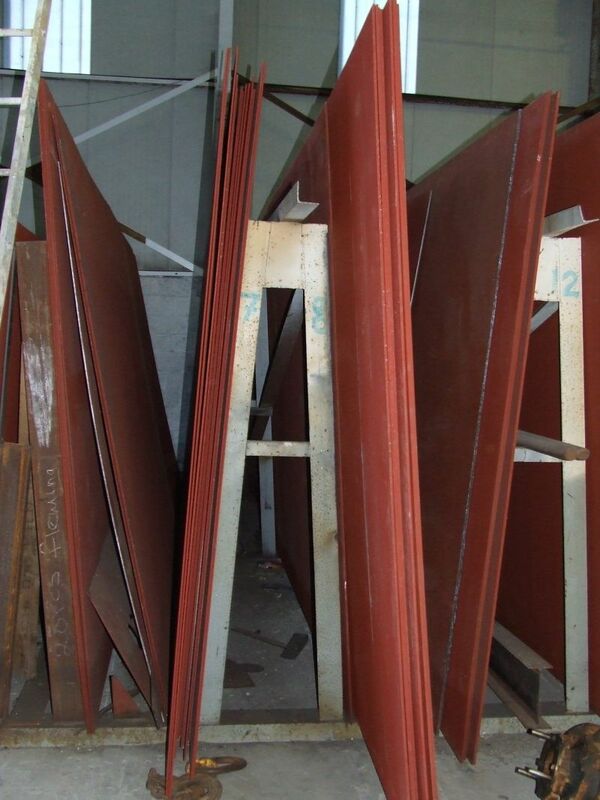 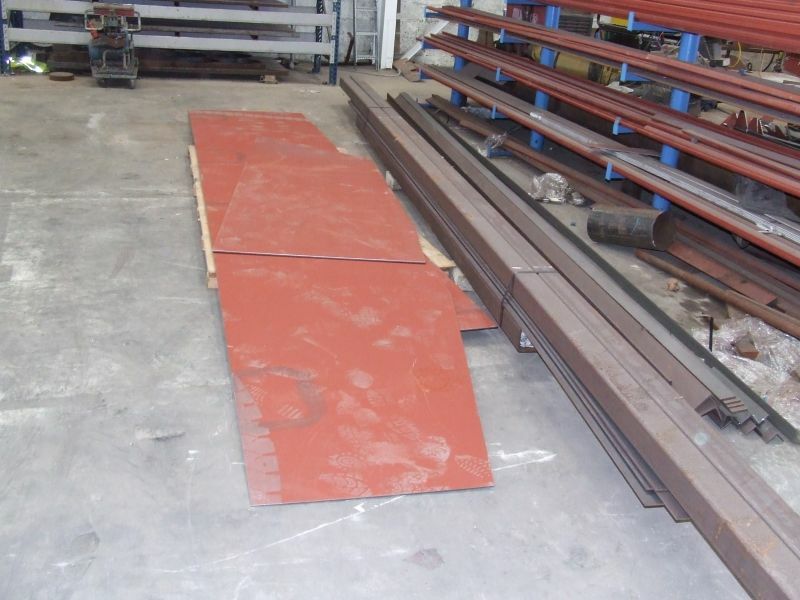 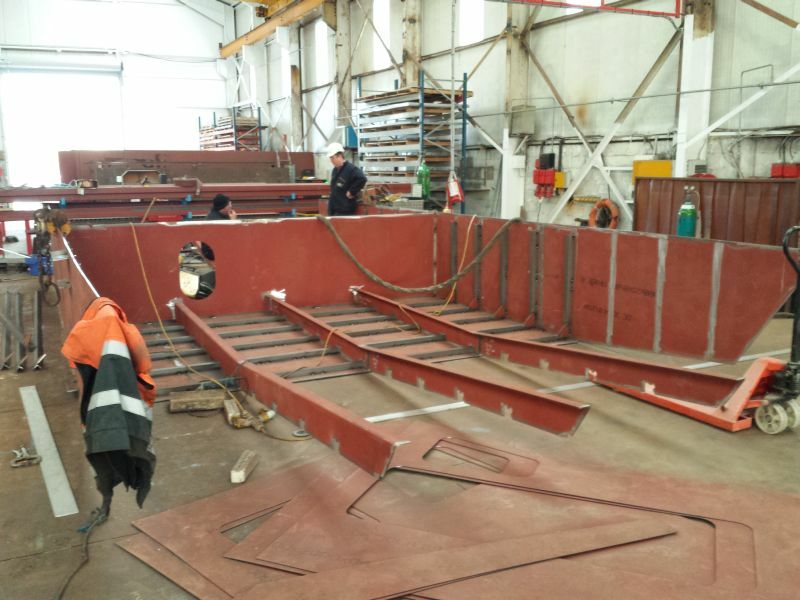 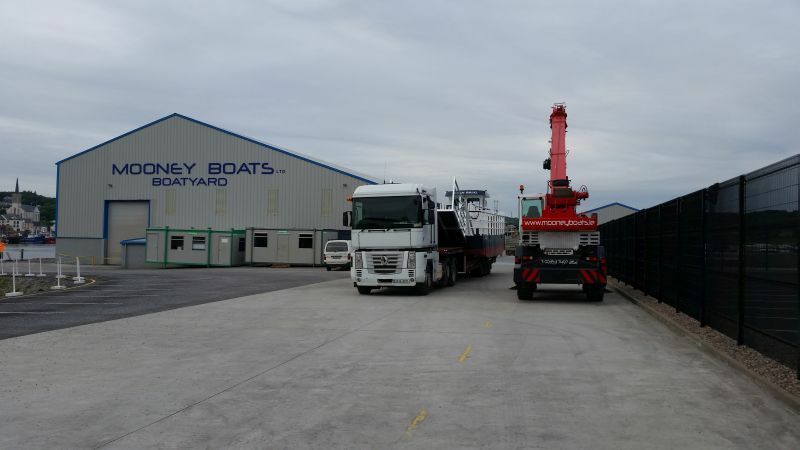 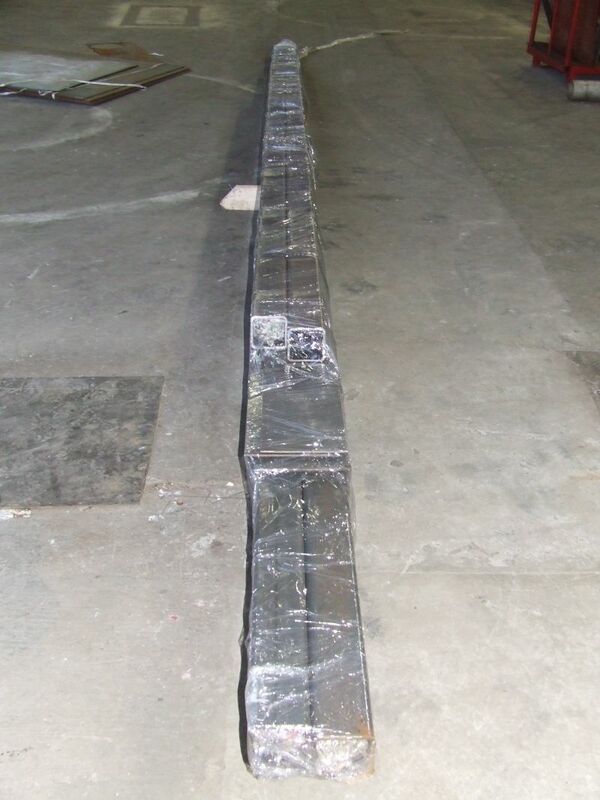 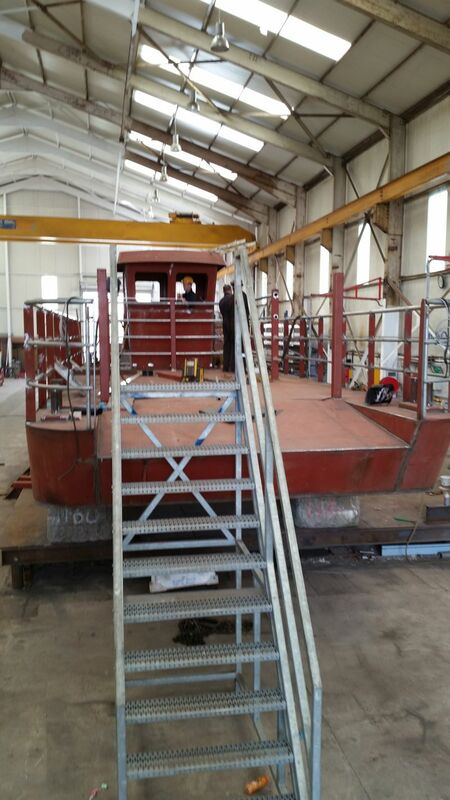 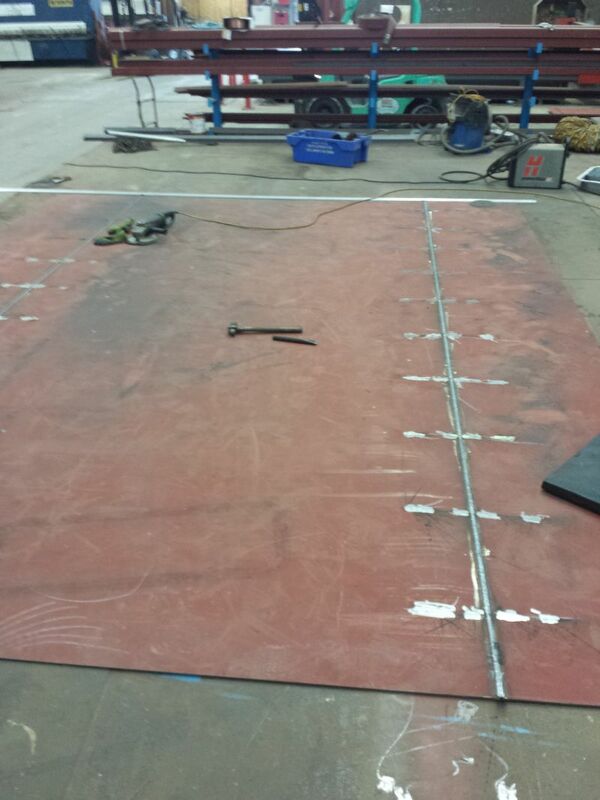 After the vessel completed Mooney Boats Ltd completed yard Seatrials and stability test at yard. 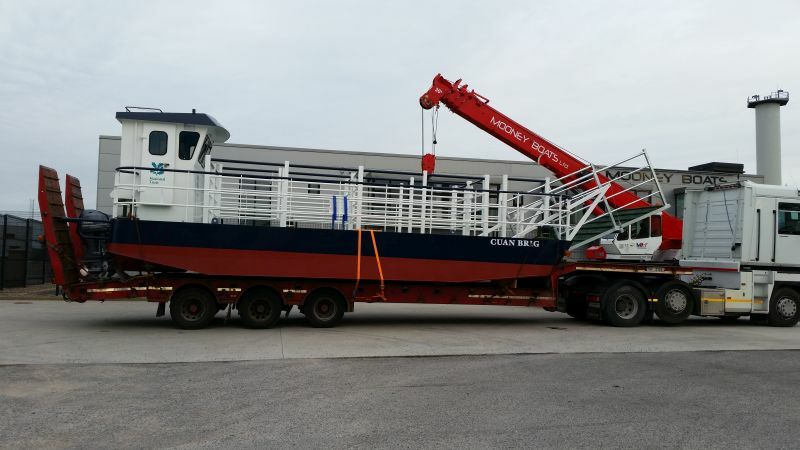 She was then loaded on a Lorry and was delivery by road to the National Trust at Strangford Lough on the 25th June 2014. 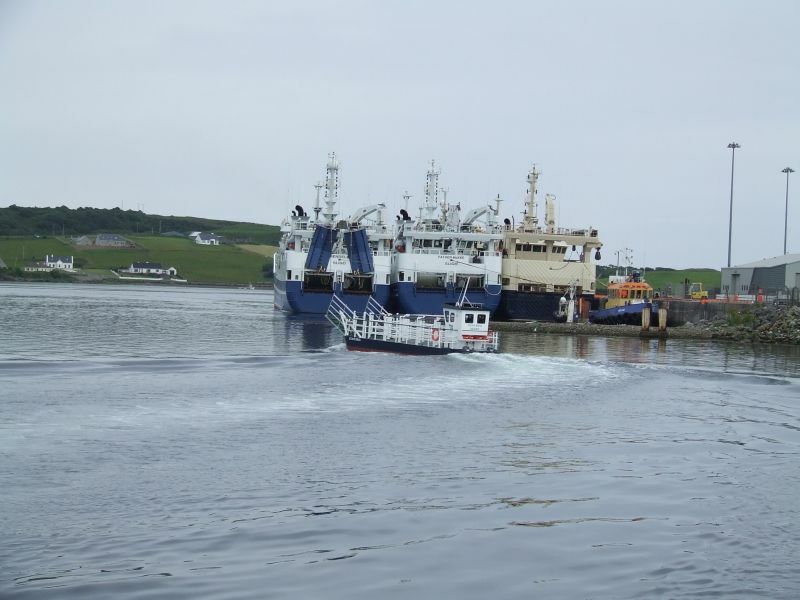 The vessel was then taken out on her official seatrials which were witness by MECAL Surveyor. 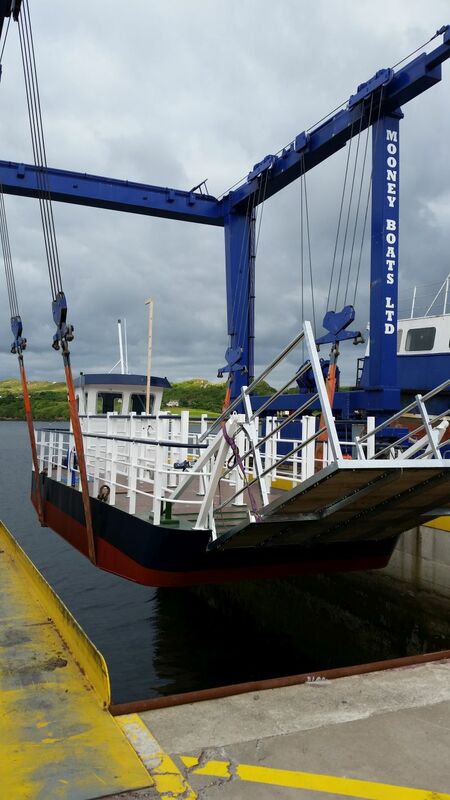 After the successful Seatrials the official hand over was completed on the same day and the vessel is now fully operational.